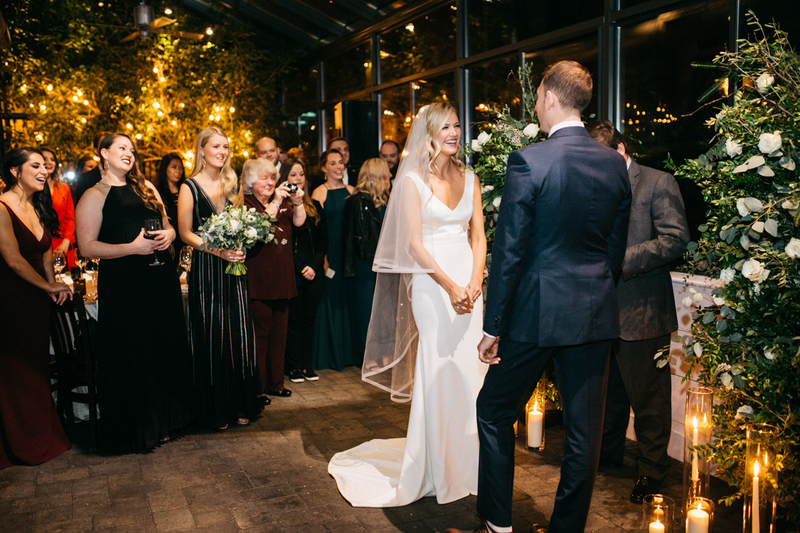 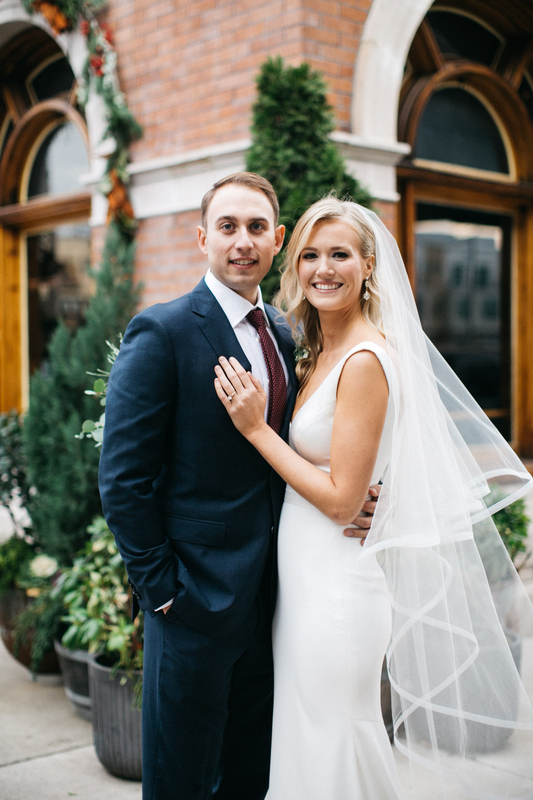 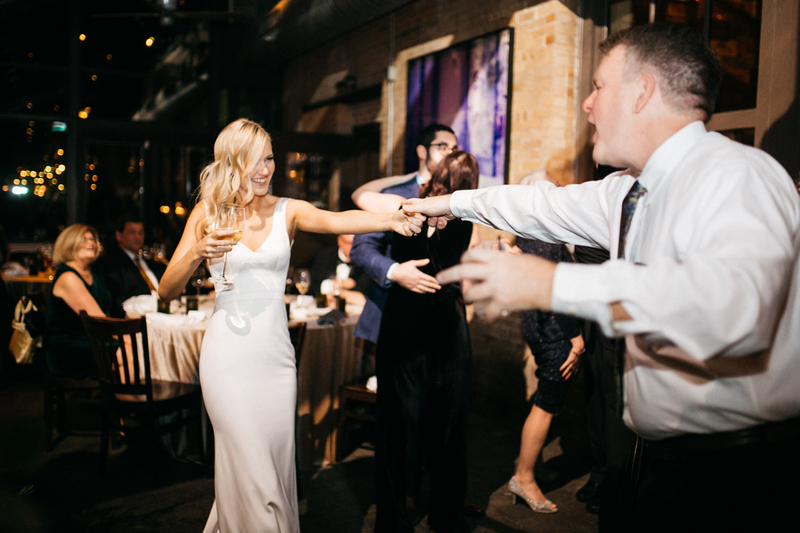 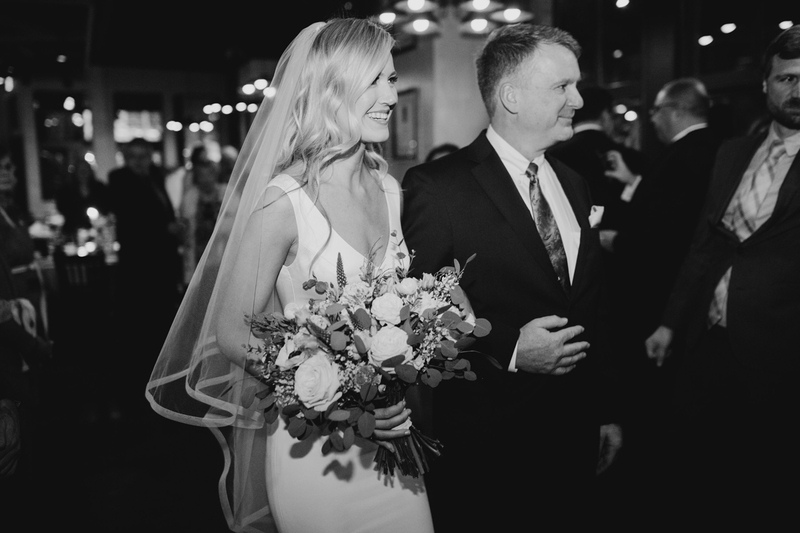 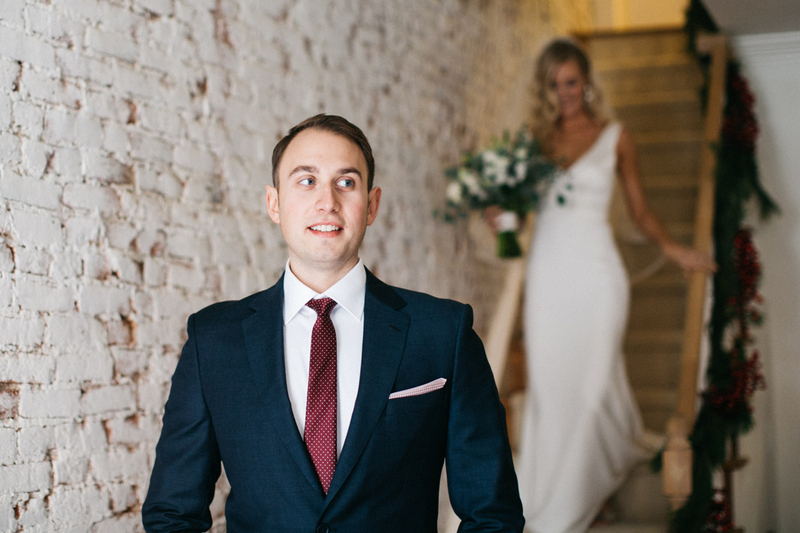 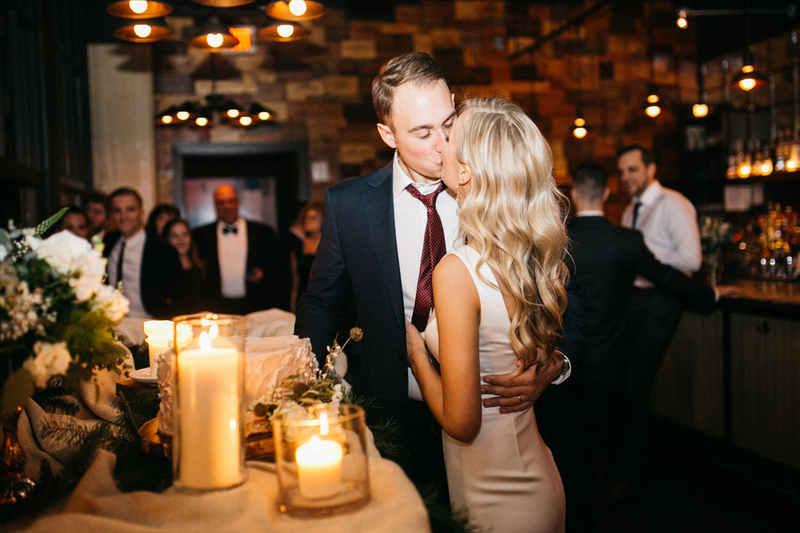 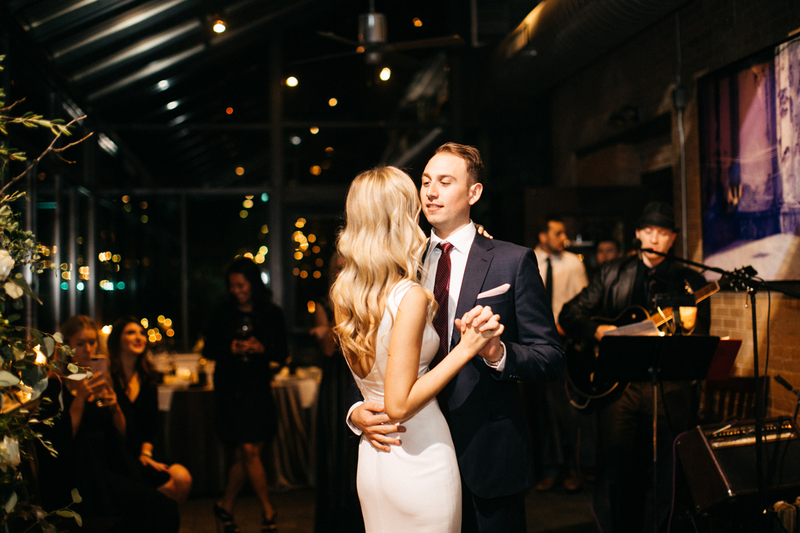 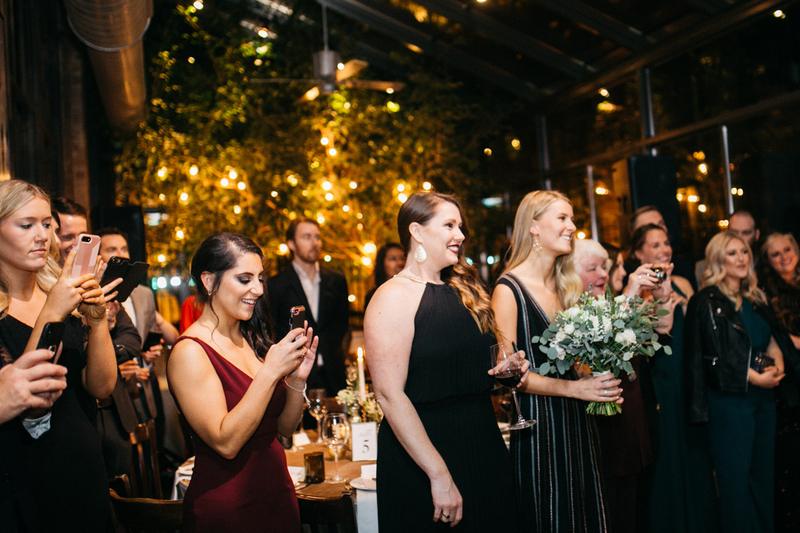 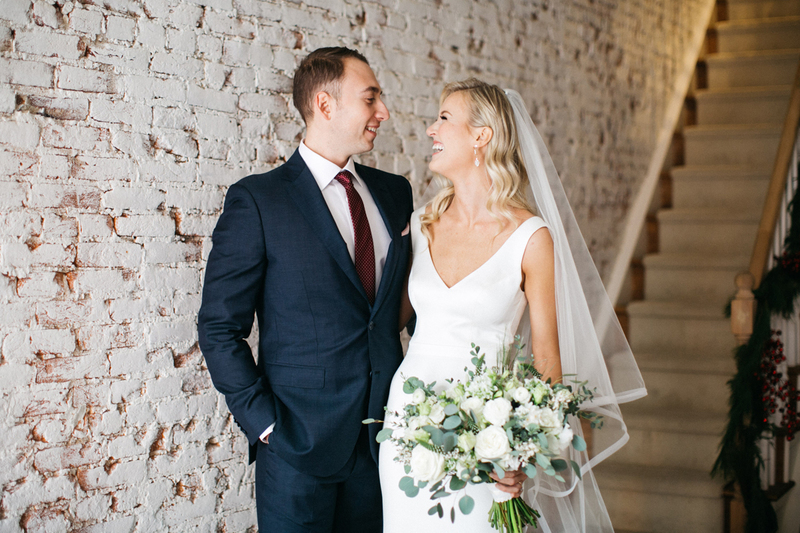 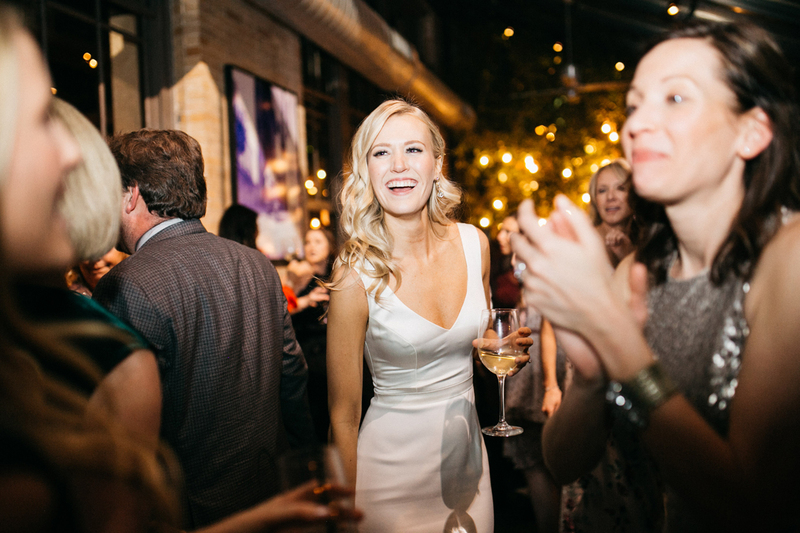 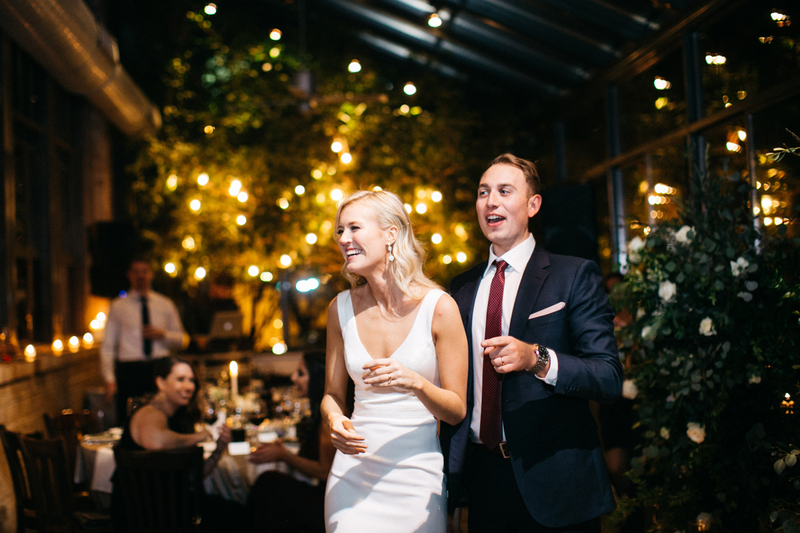 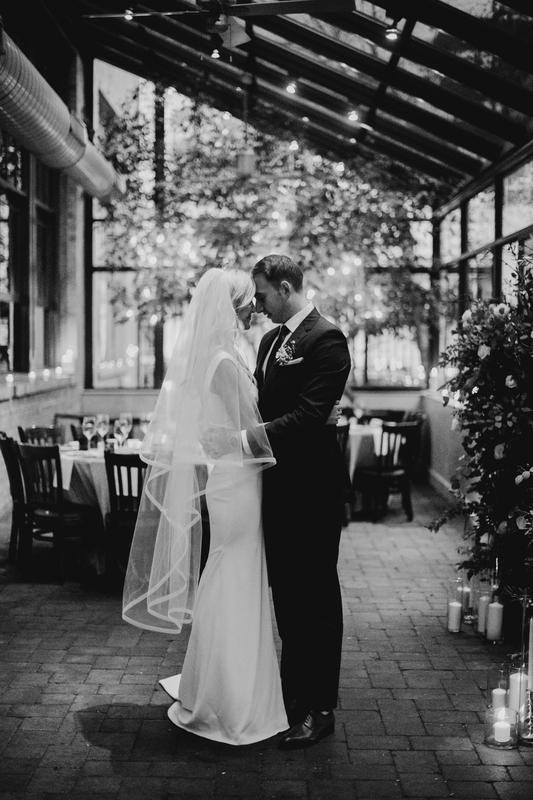 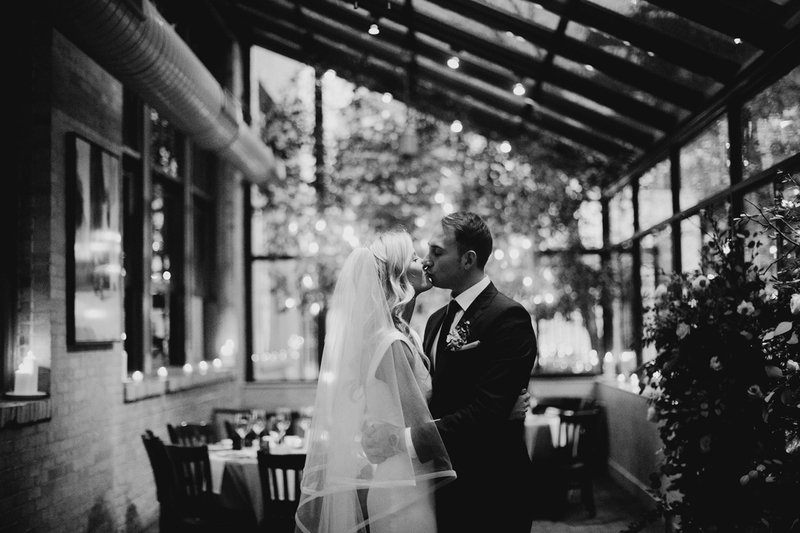 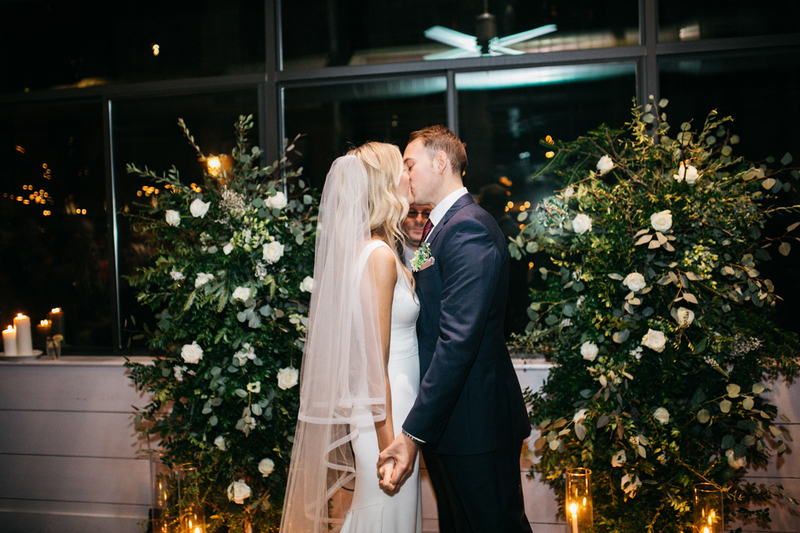 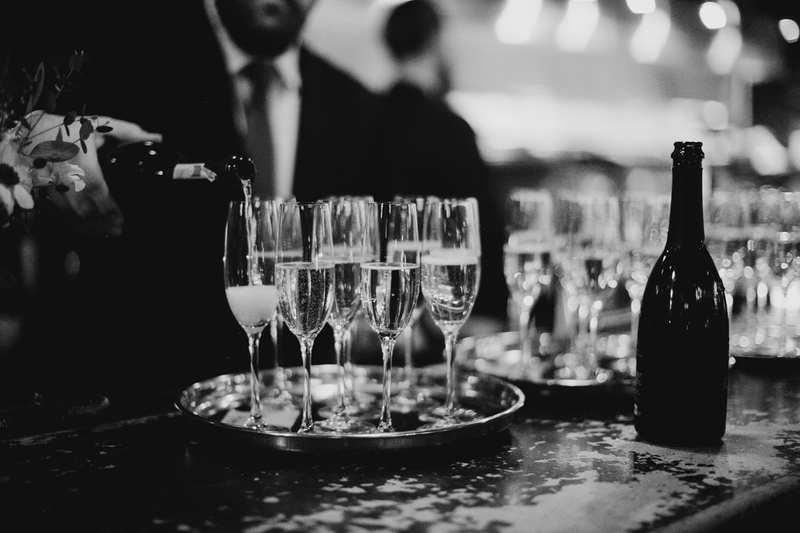 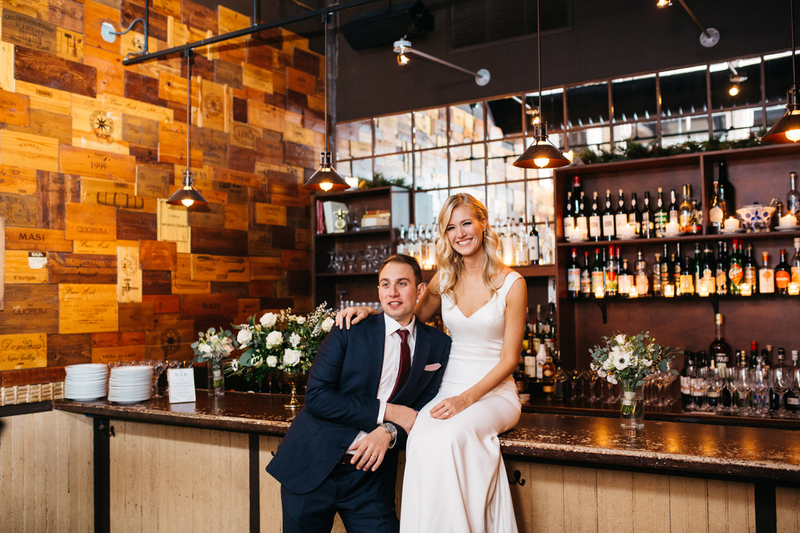 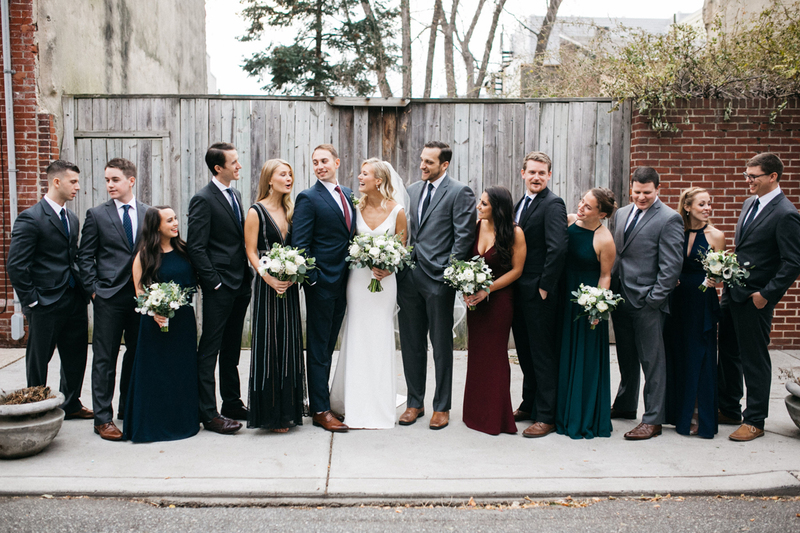 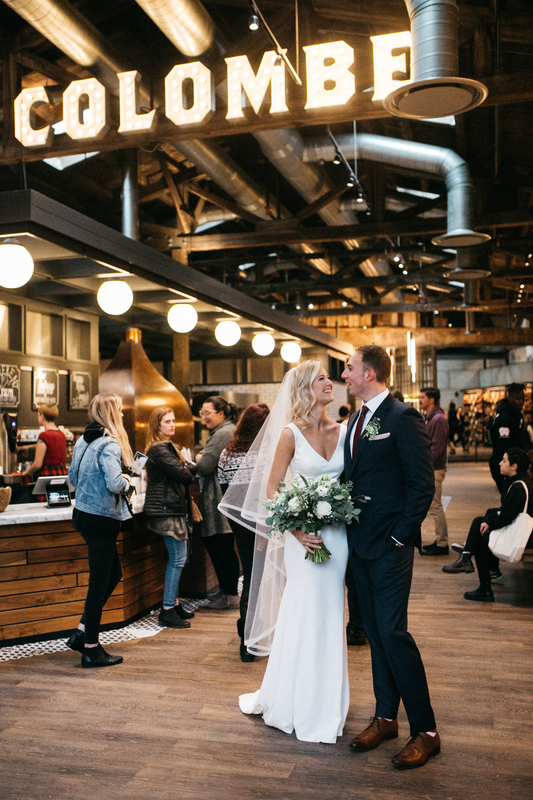 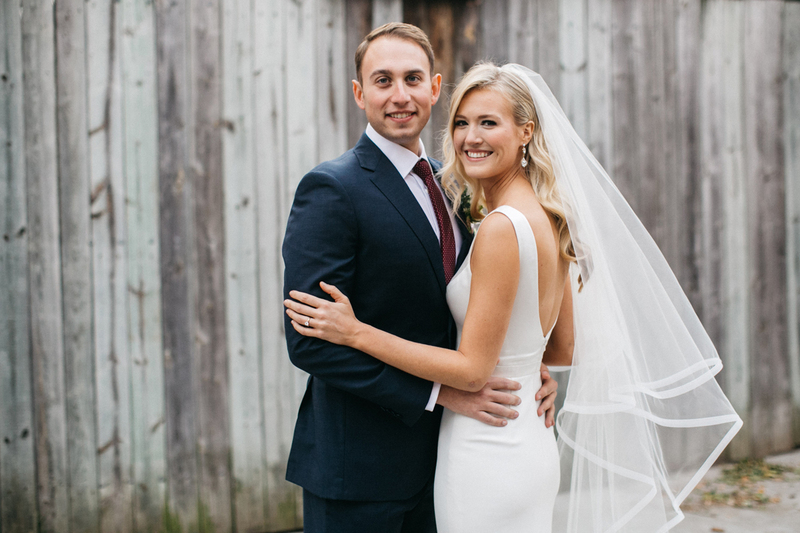 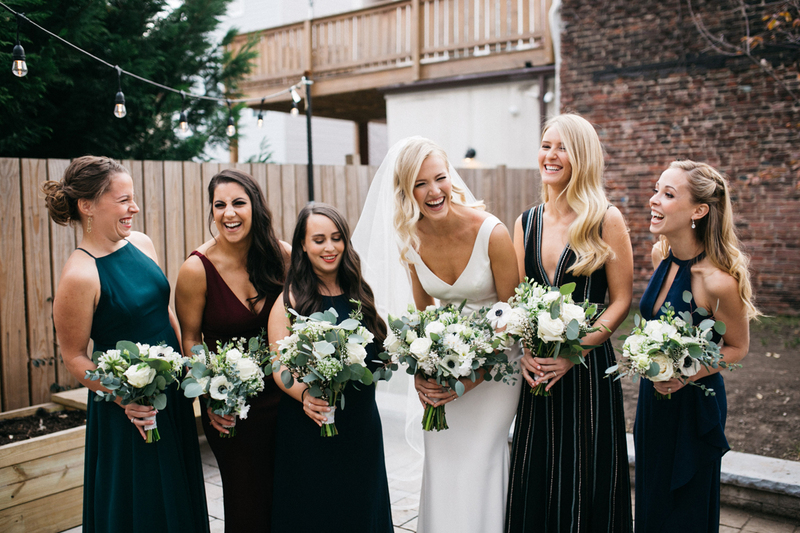 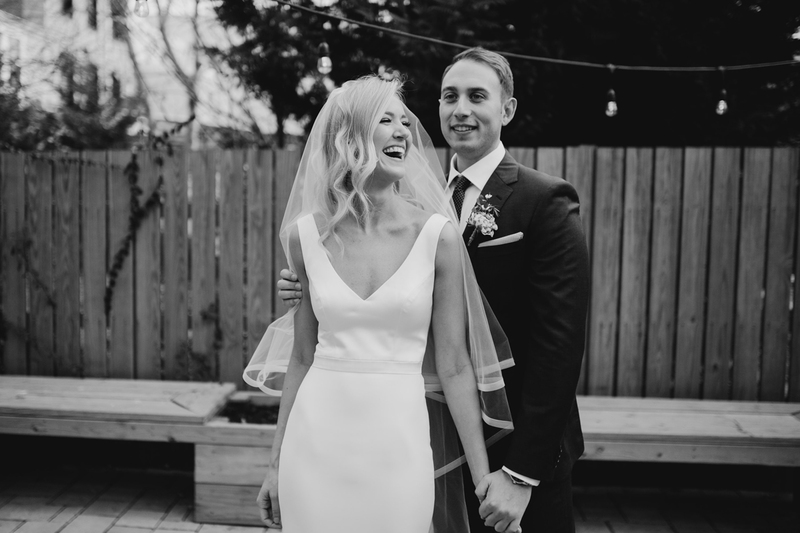 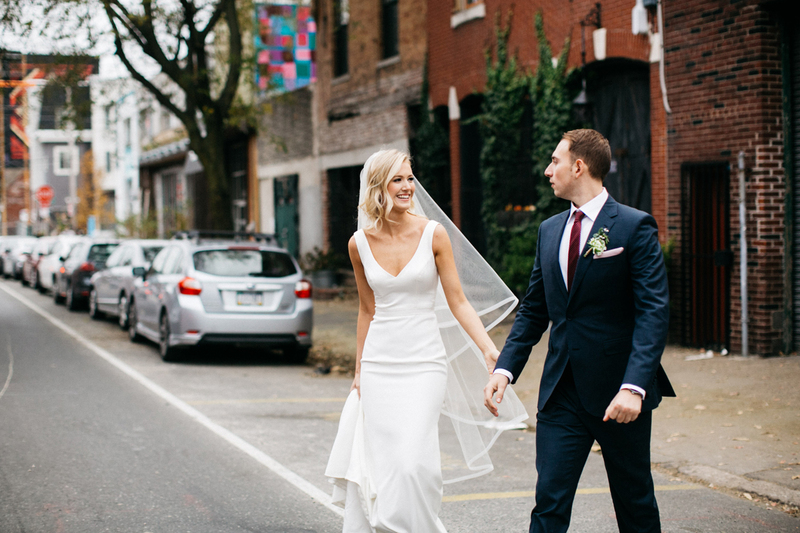 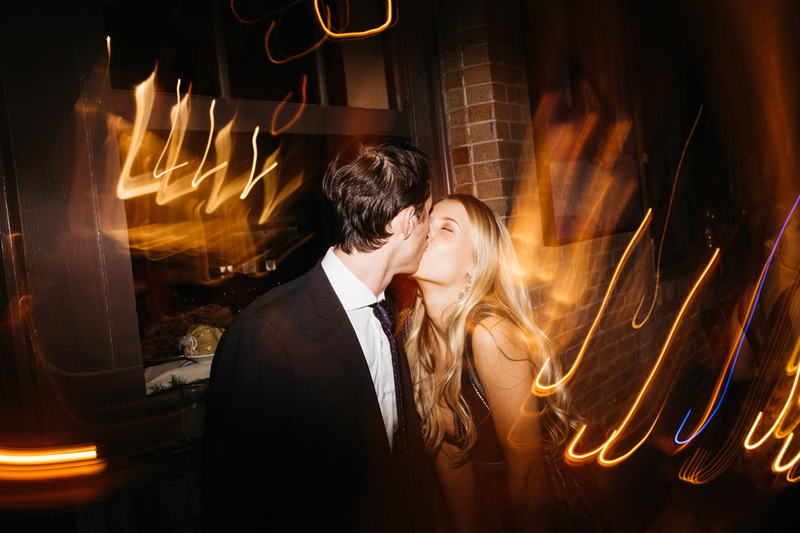 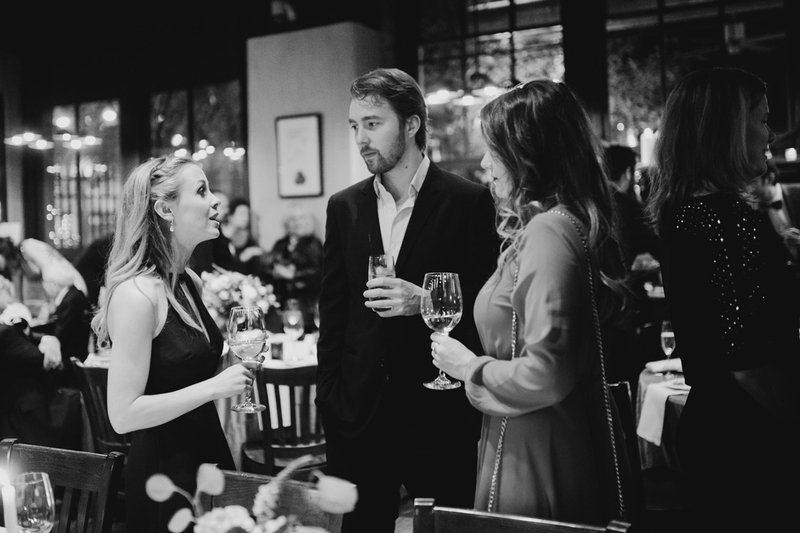 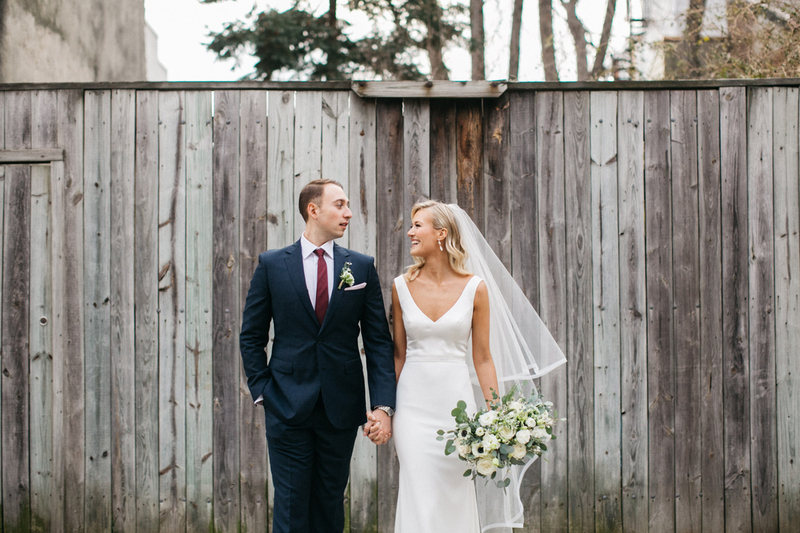 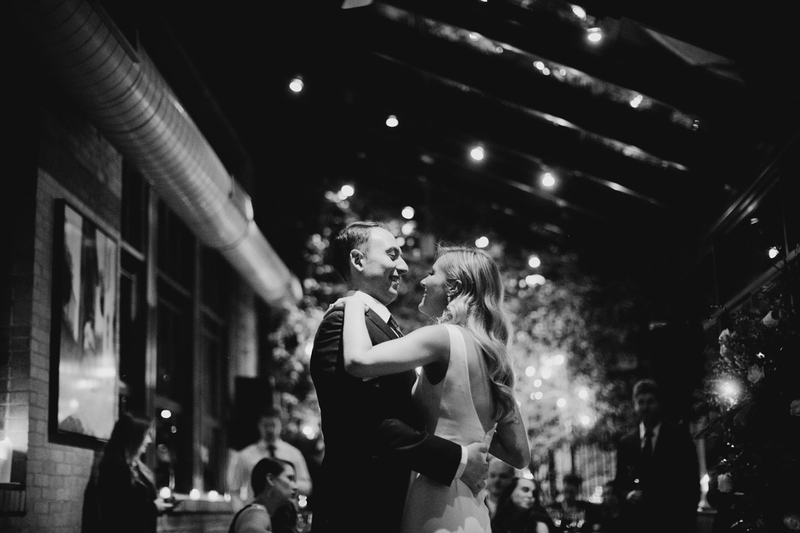 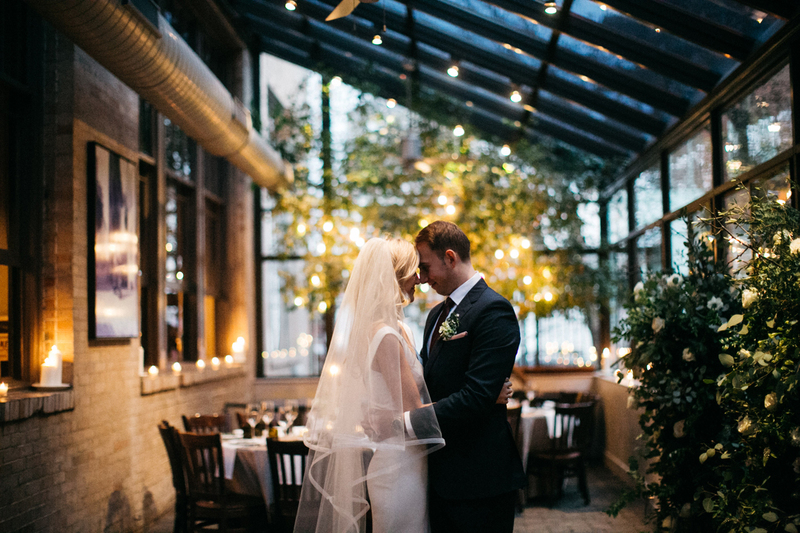 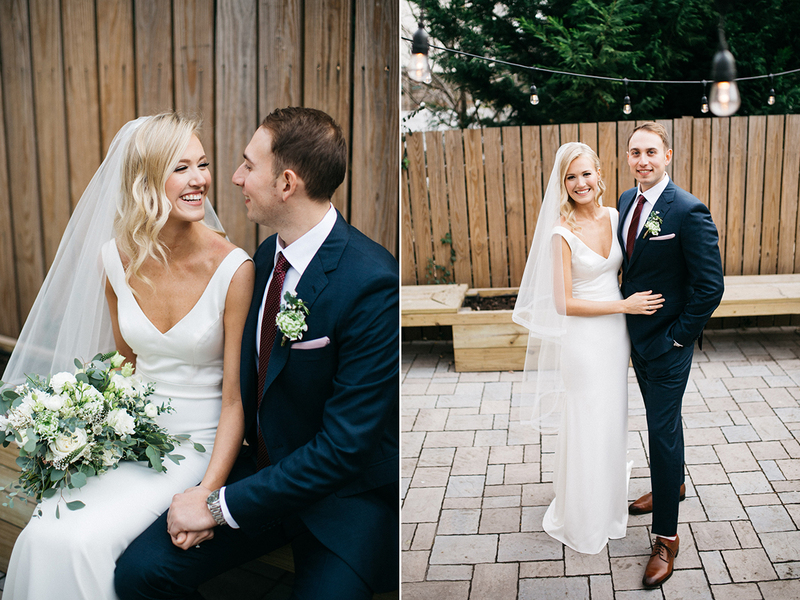 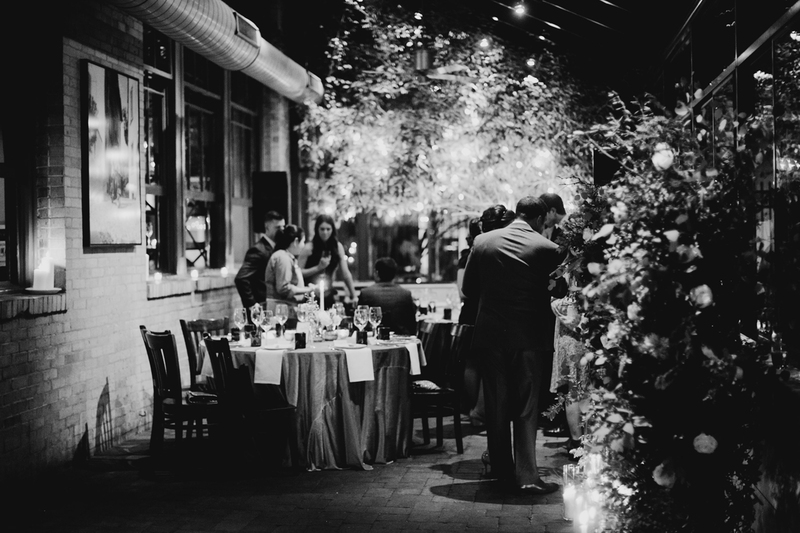 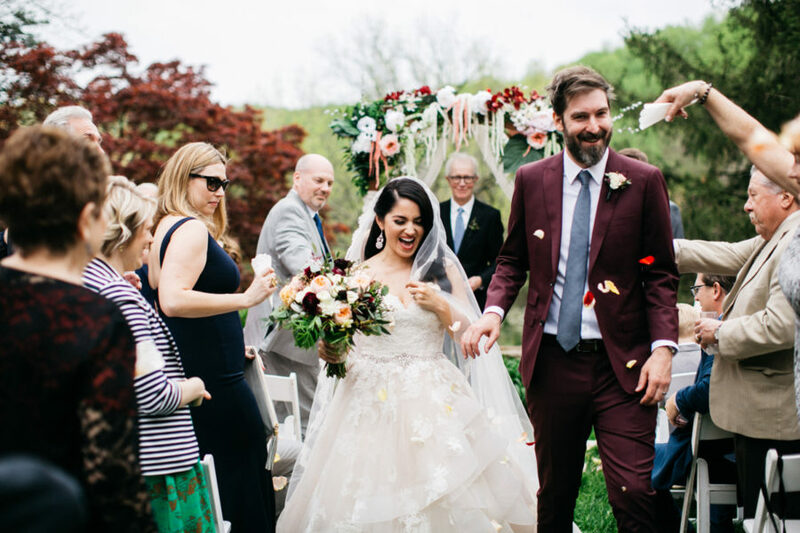 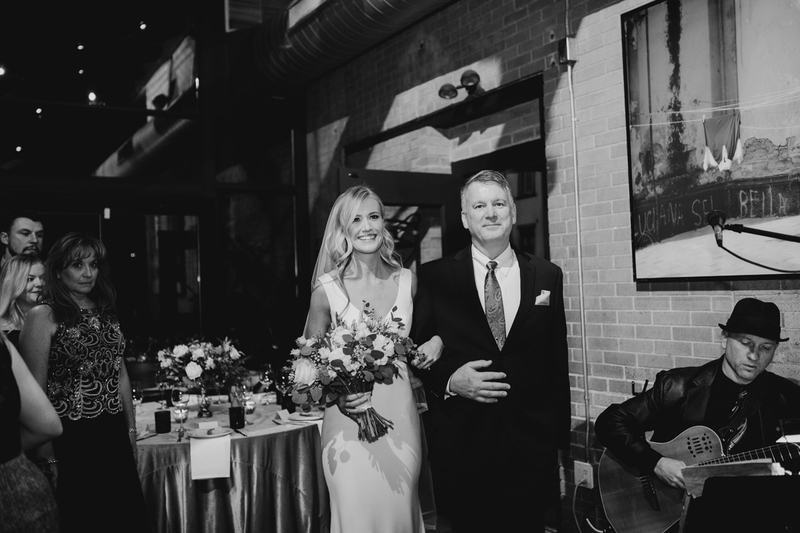 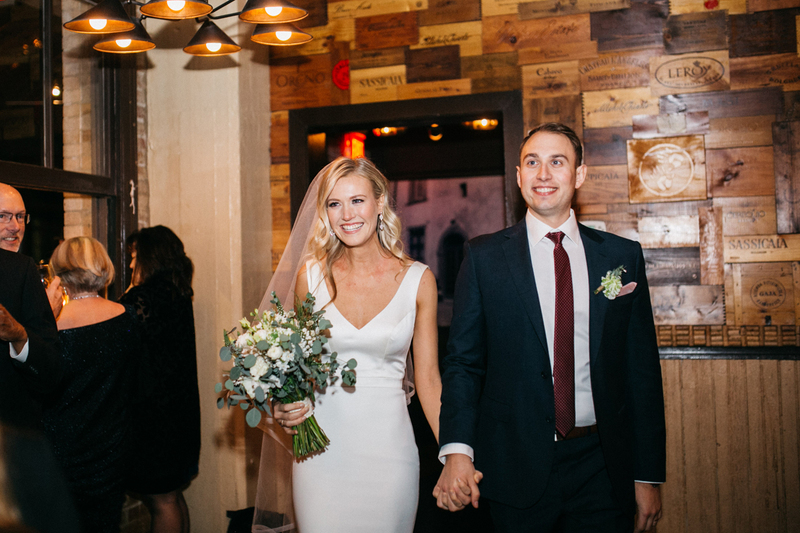 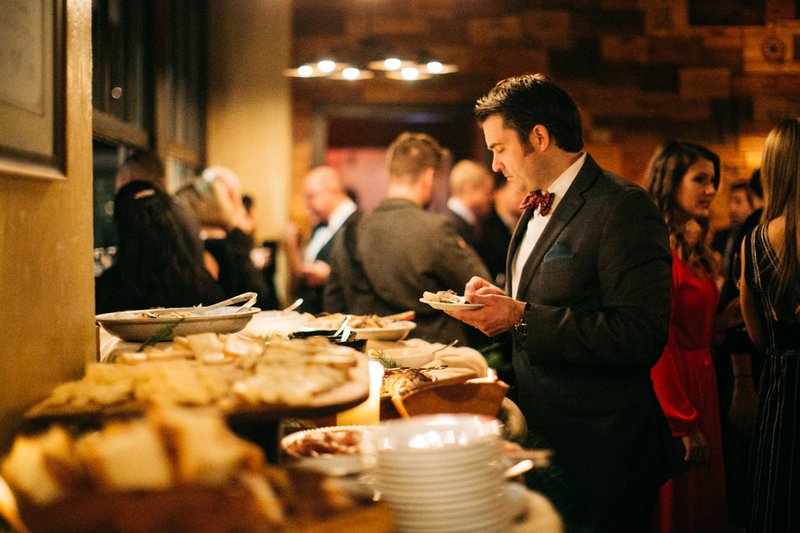 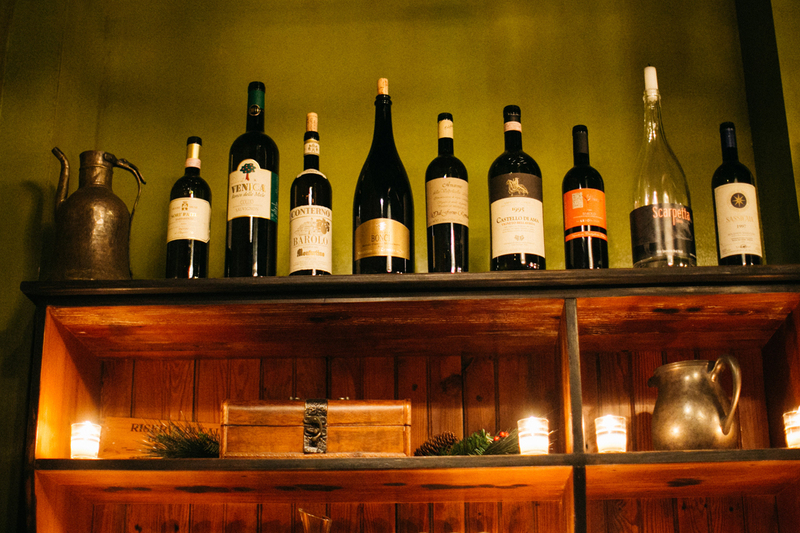 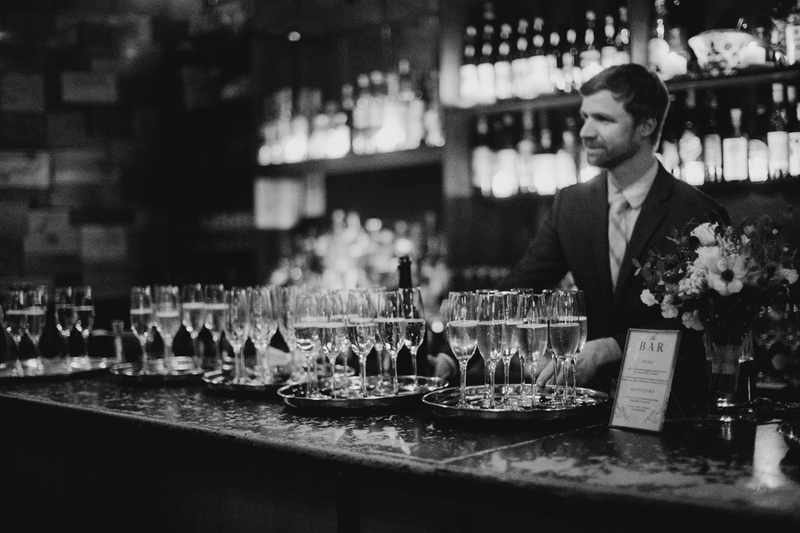 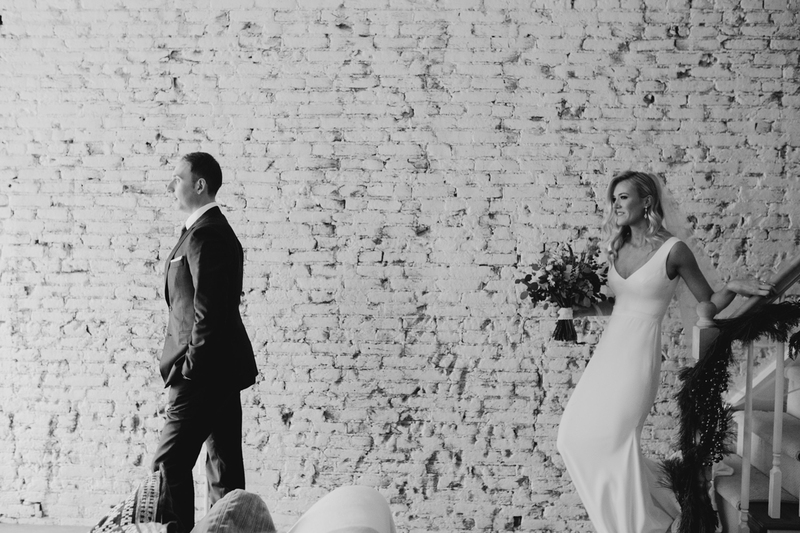 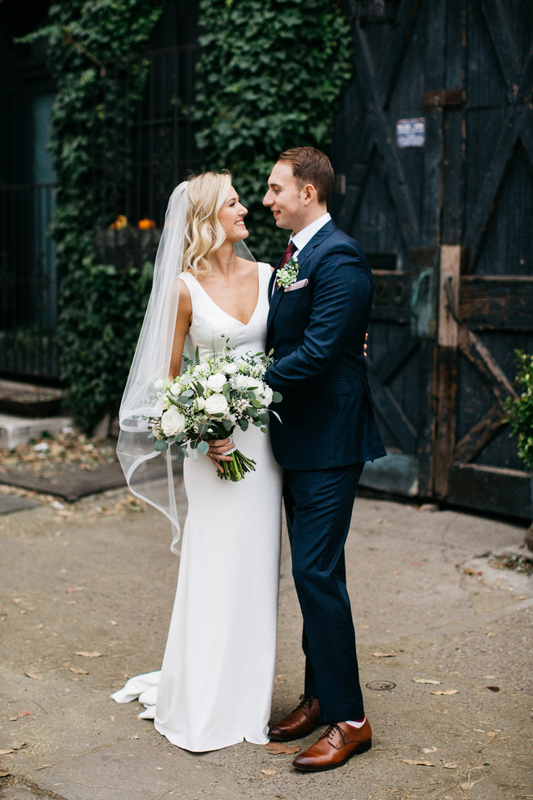 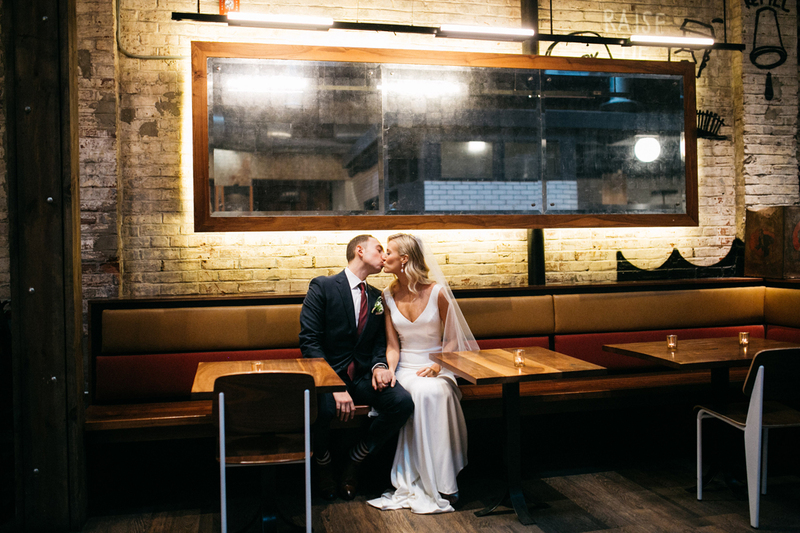 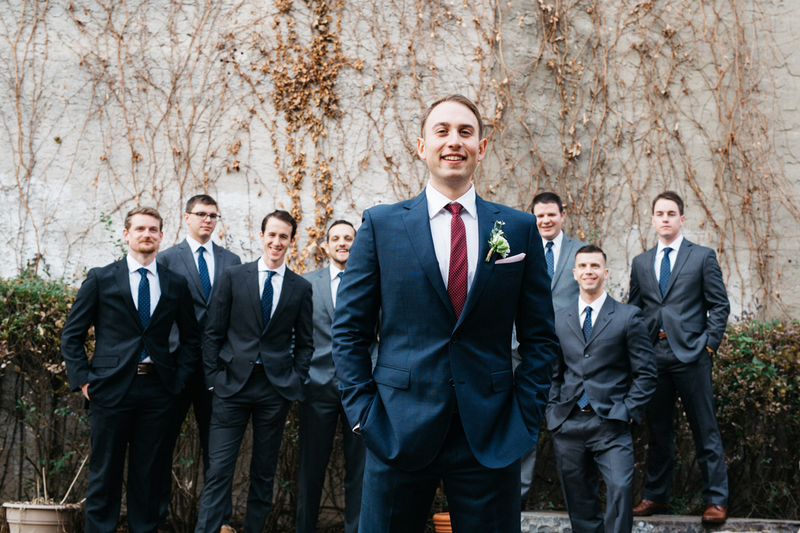 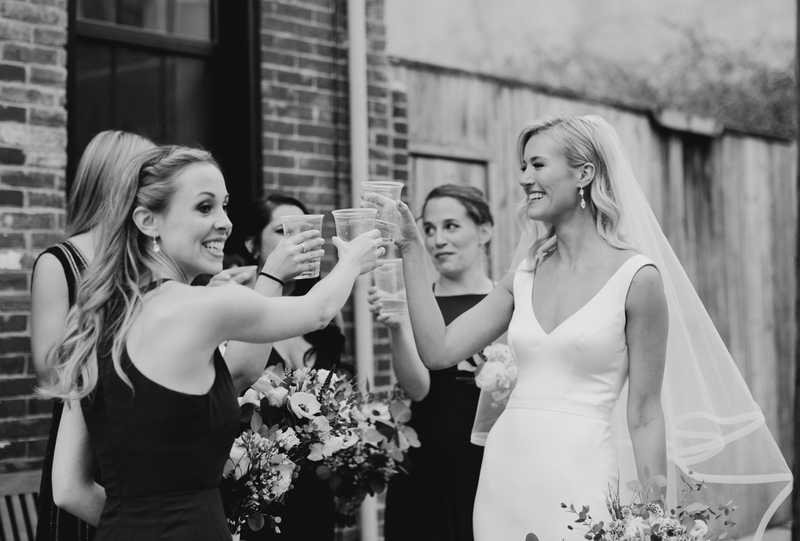 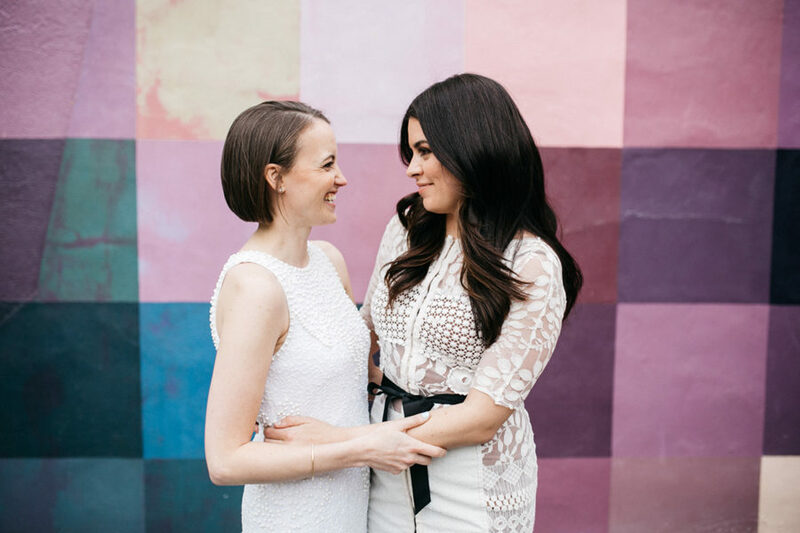 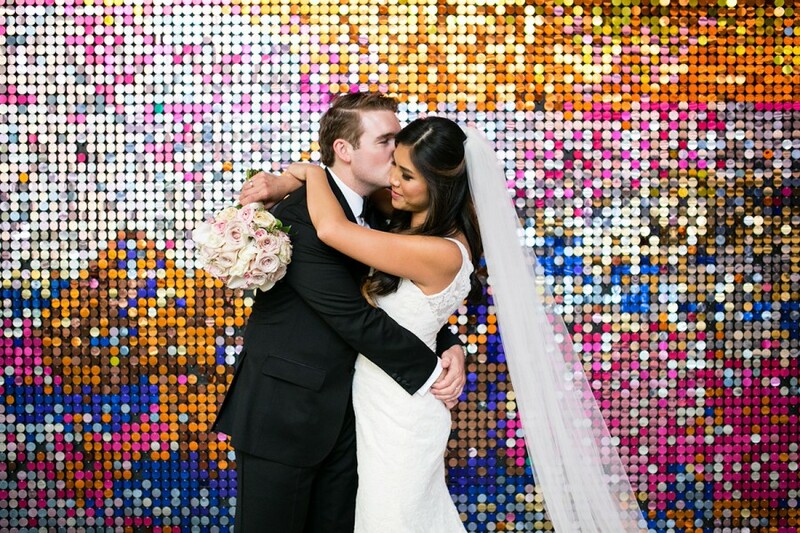 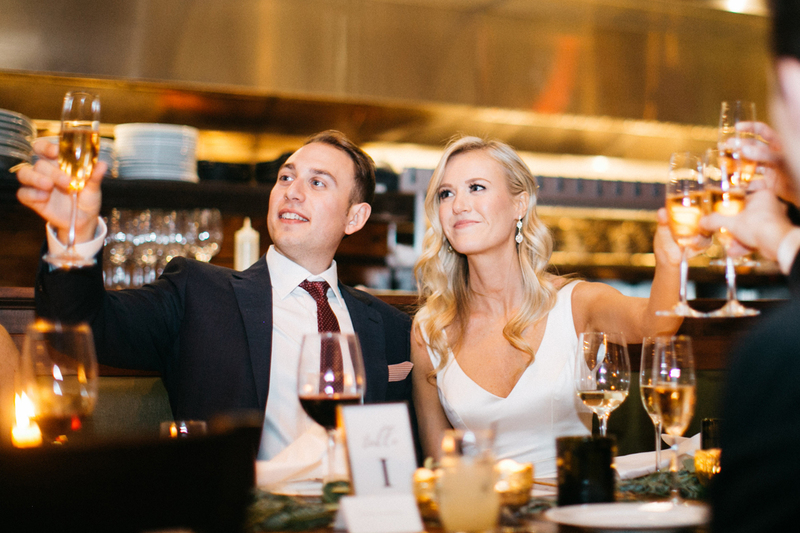 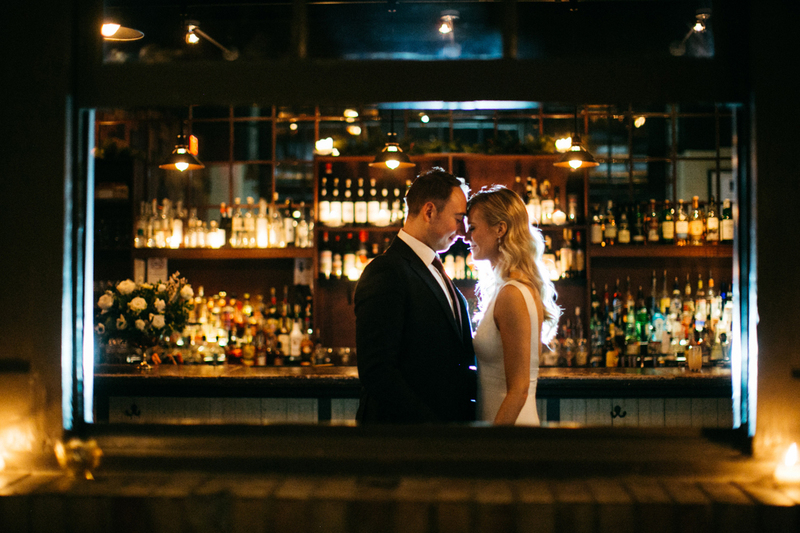 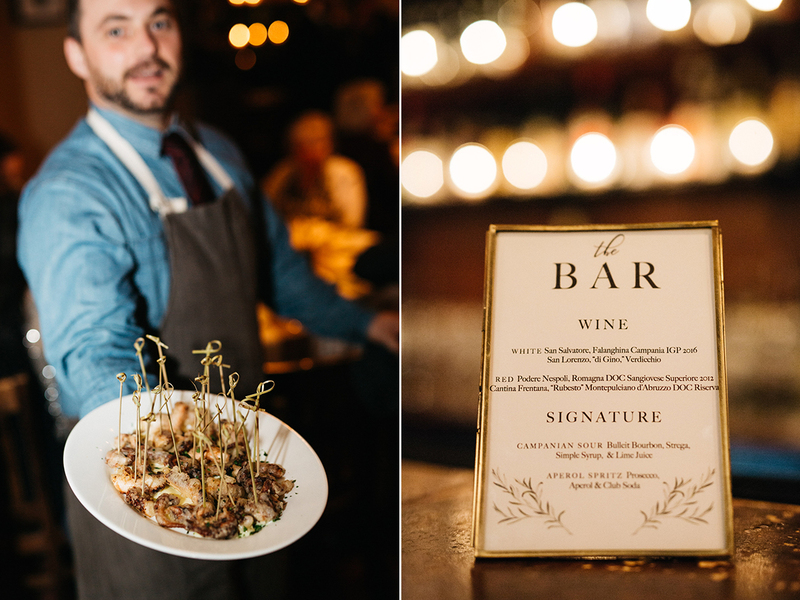 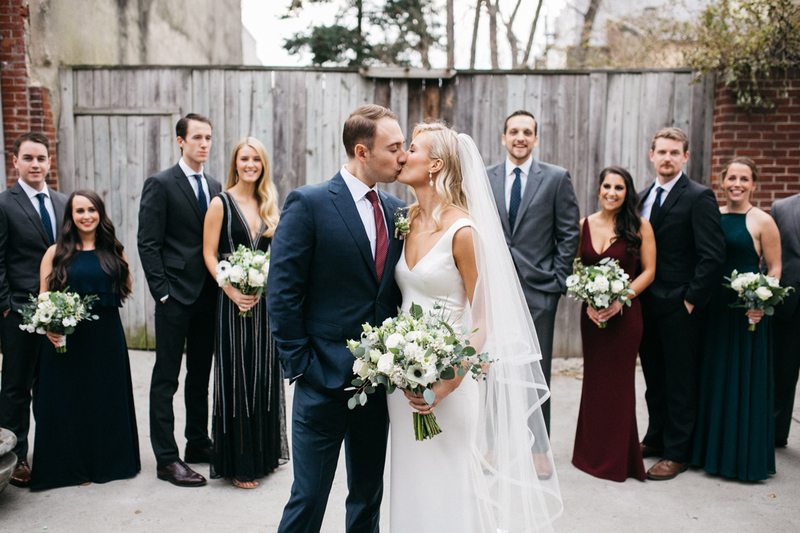 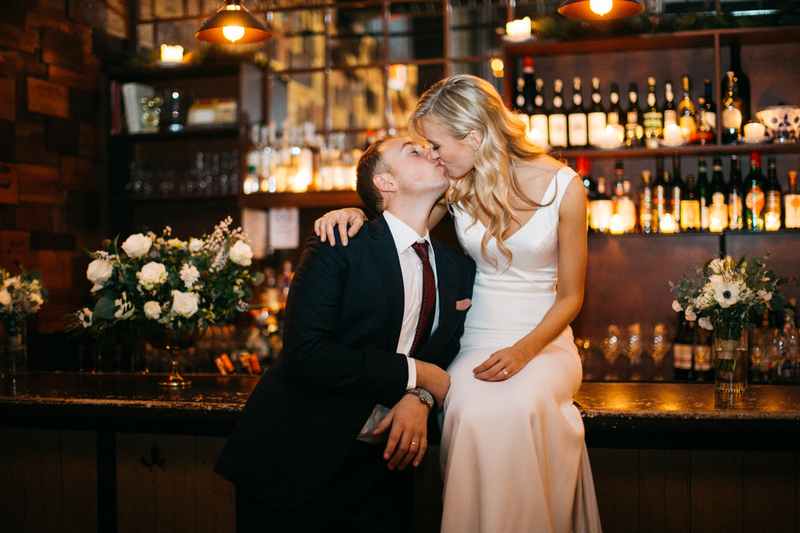 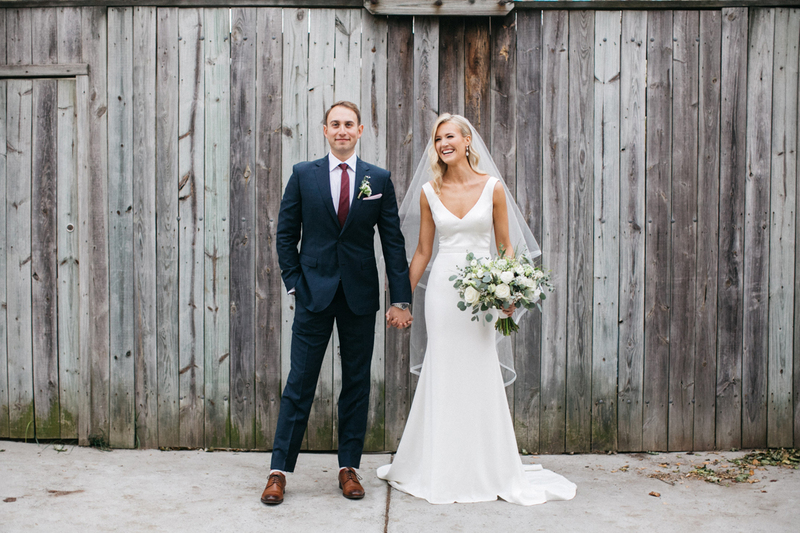 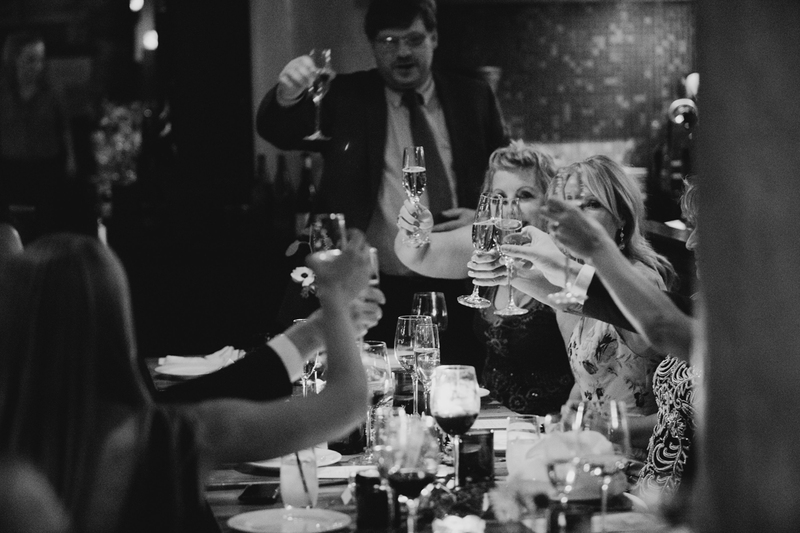 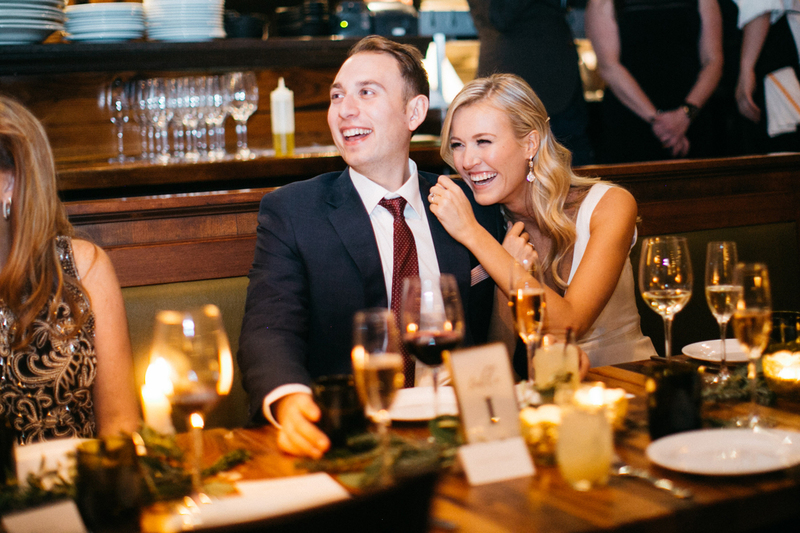 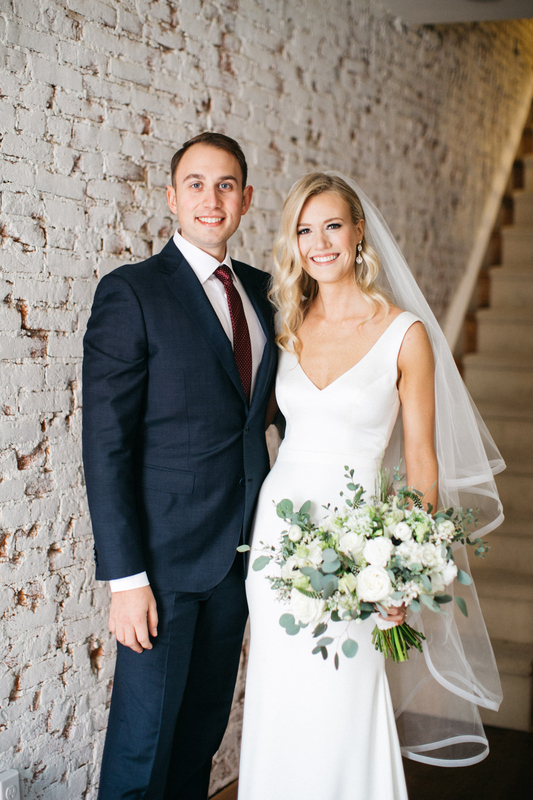 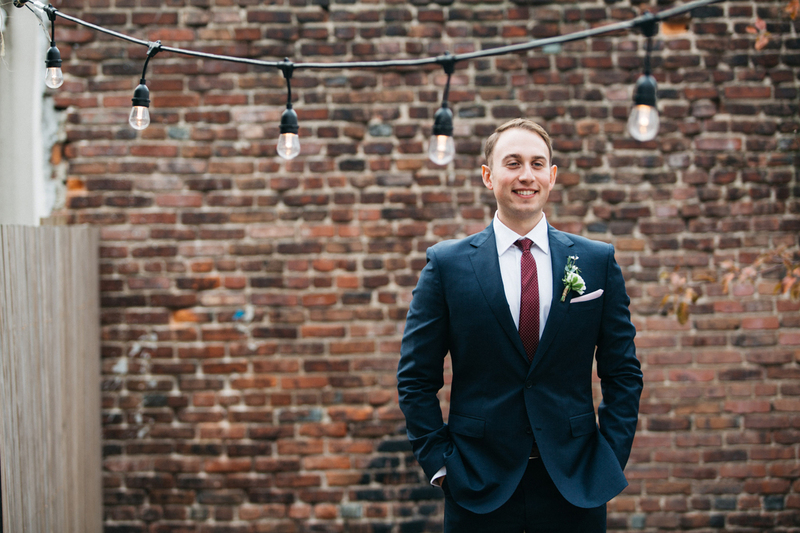 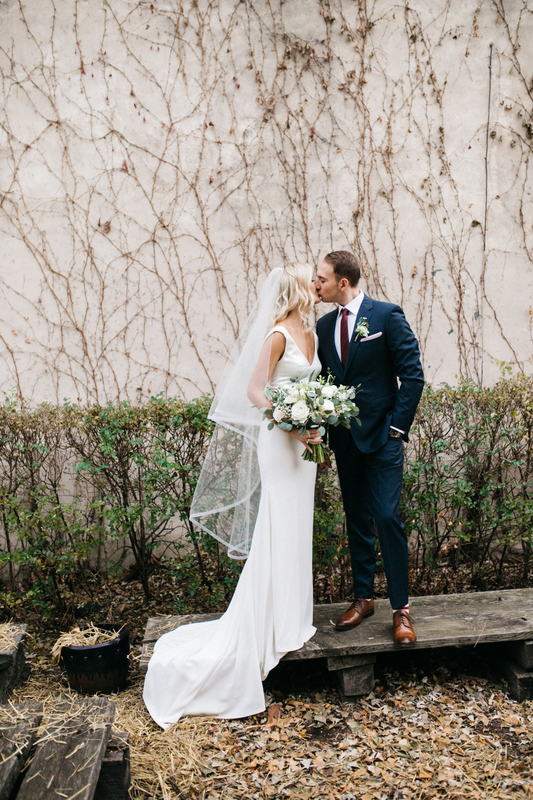 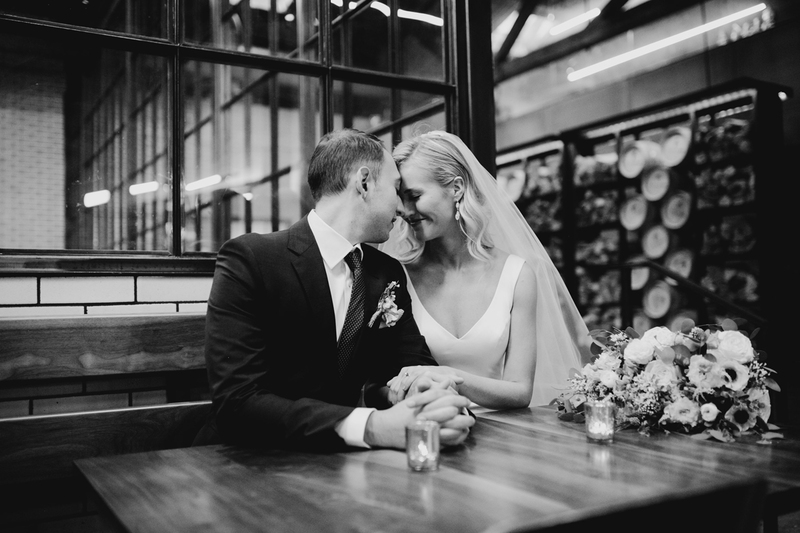 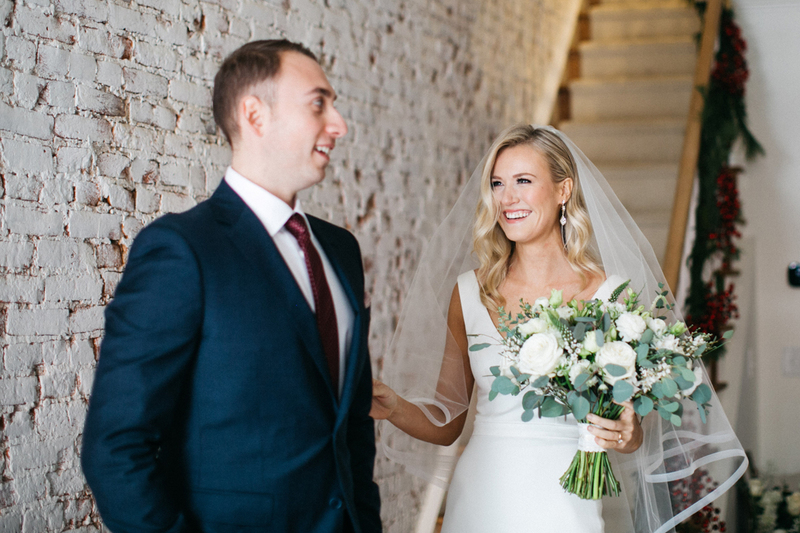 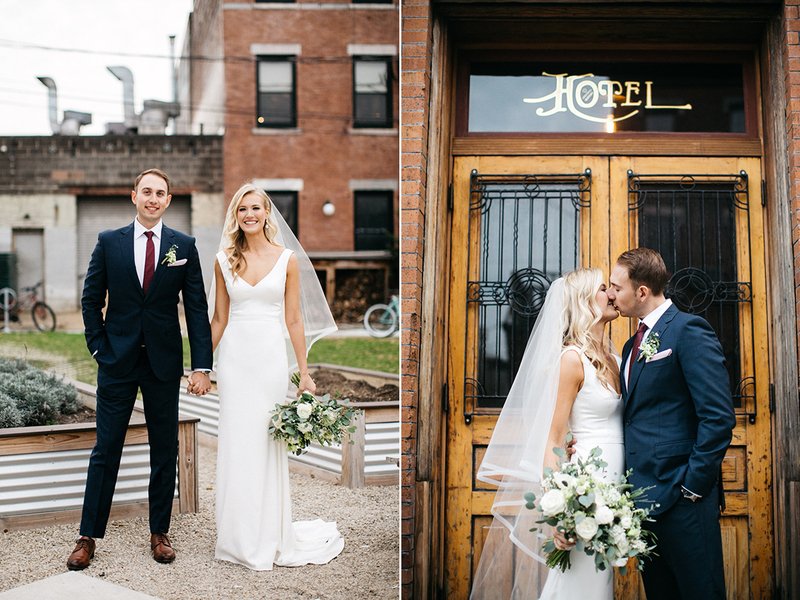 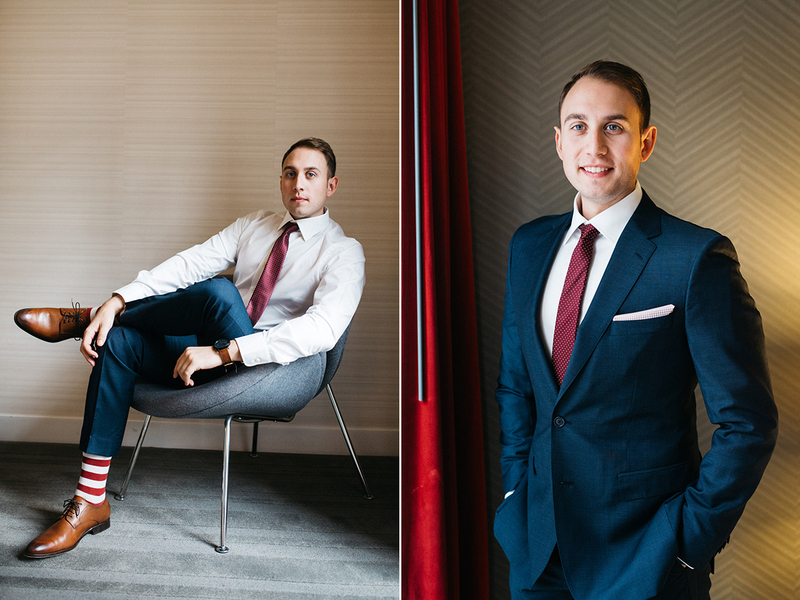 Justine and Kyle are food and wine lovers who decided to get married at one of their favorite Philly restaurants, Osteria. 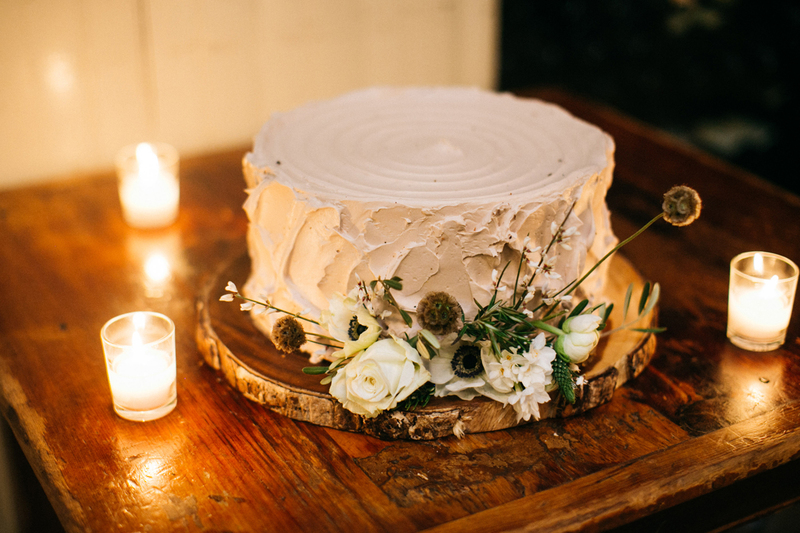 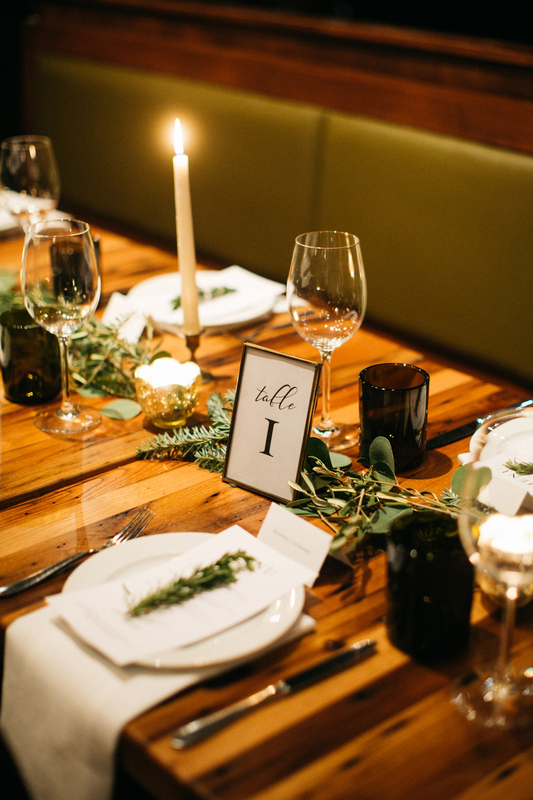 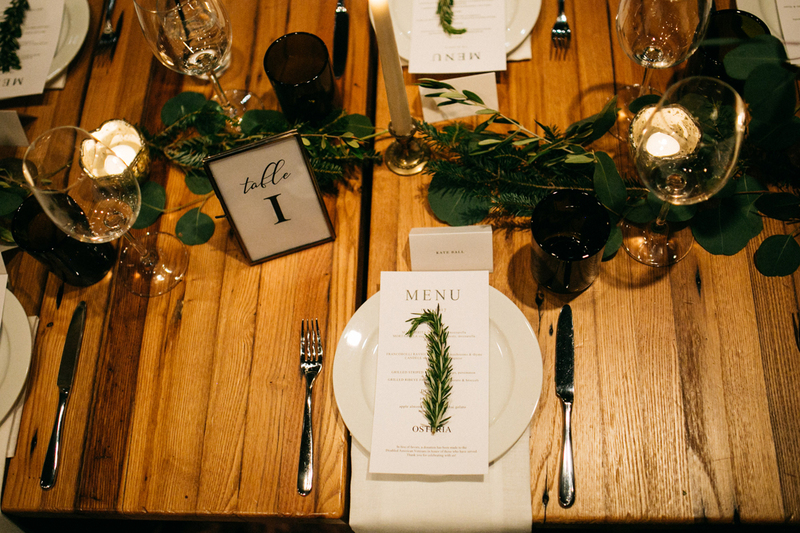 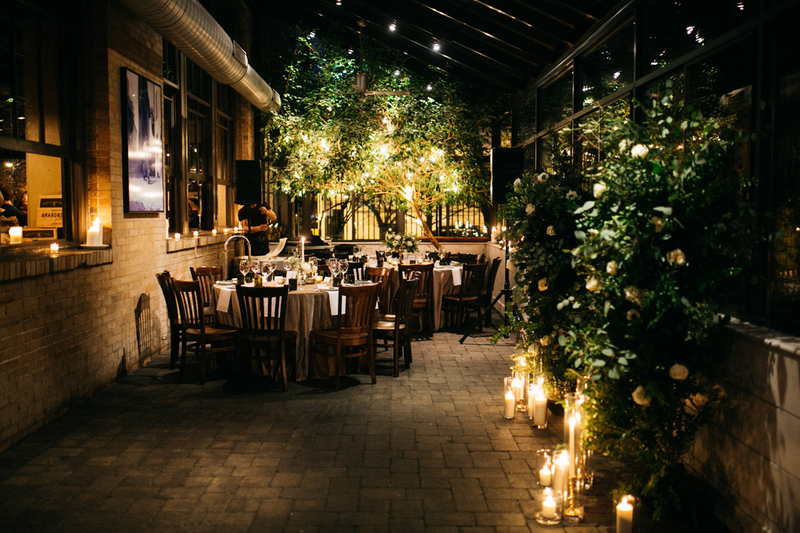 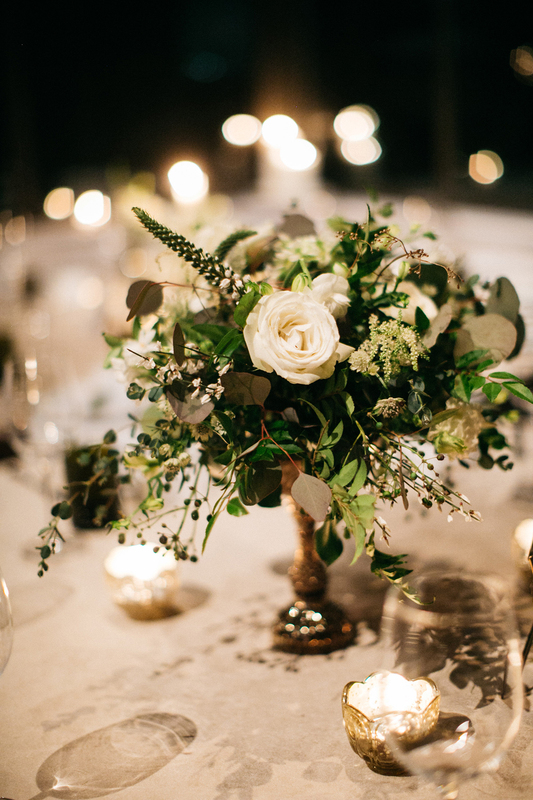 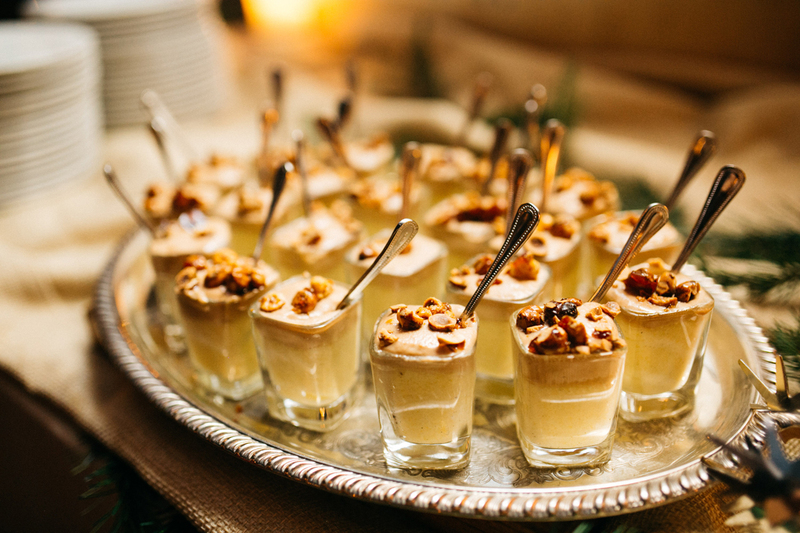 Good food, closest friends and family, intimate space with lots of candles and greenery – those are the ingredients of their winter wedding that felt very personal. 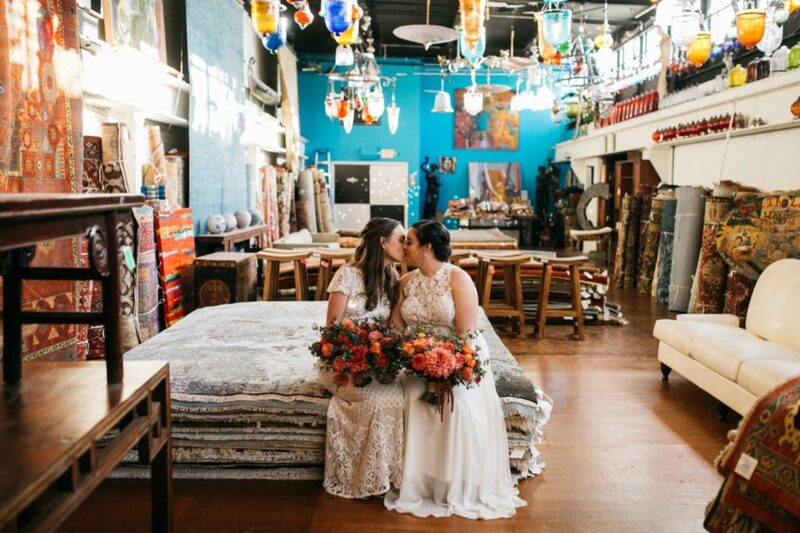 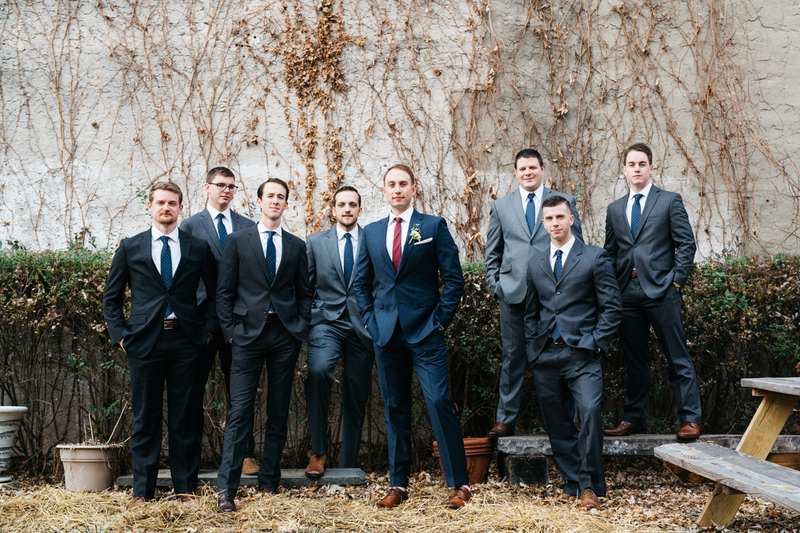 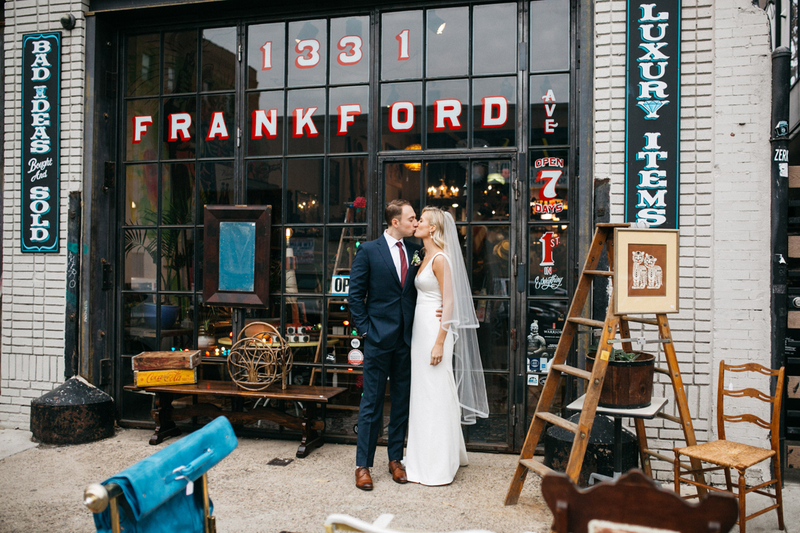 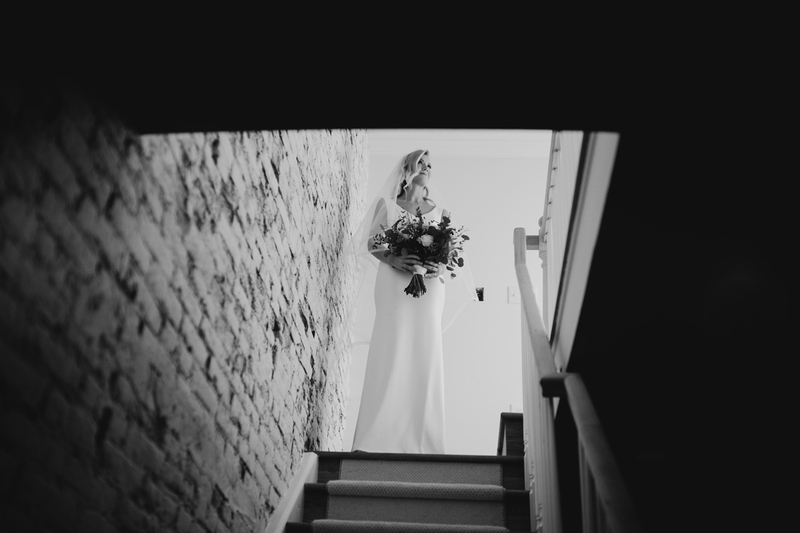 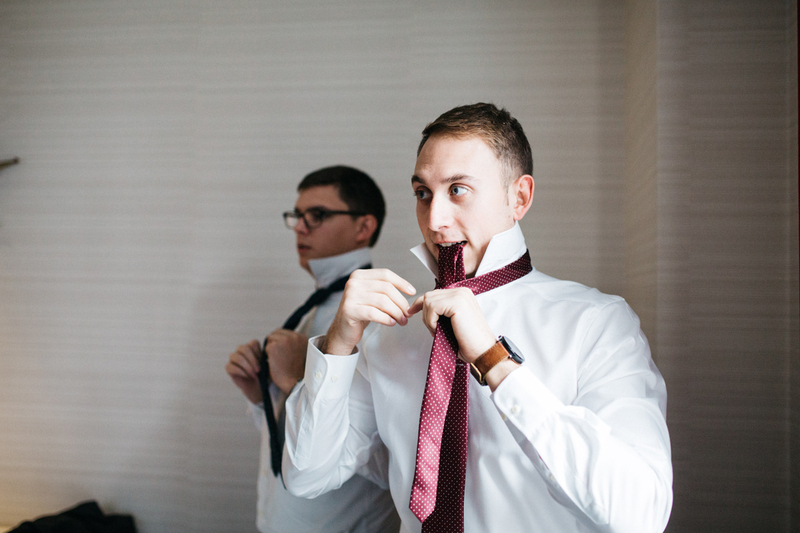 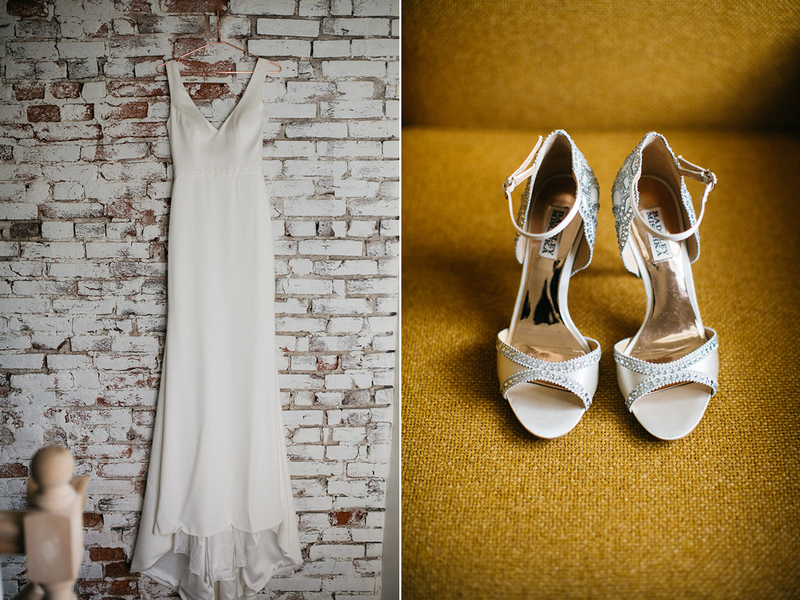 They started the day getting ready at their lovely home in the heart of Fishtown. 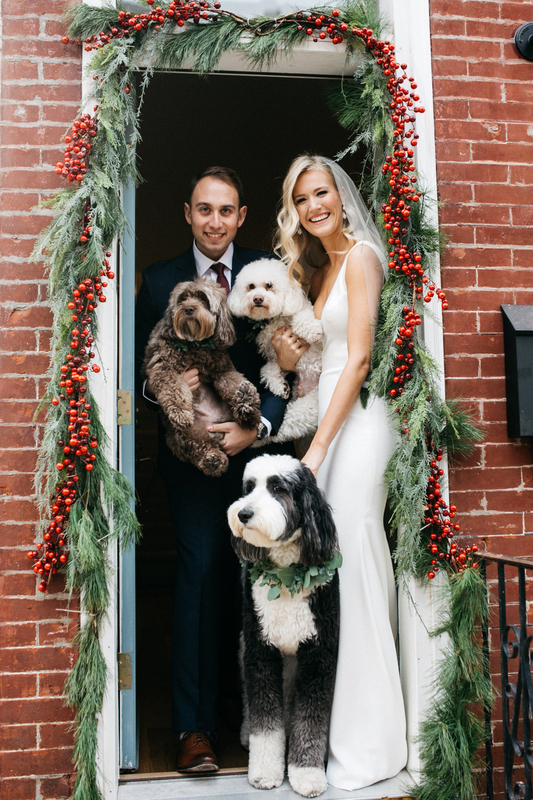 Their three dogs were definitely a huge part of the day! 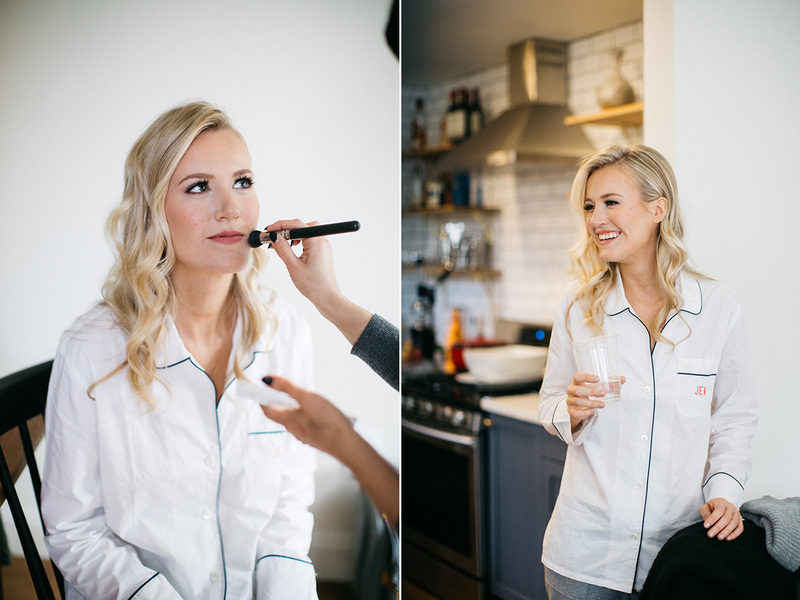 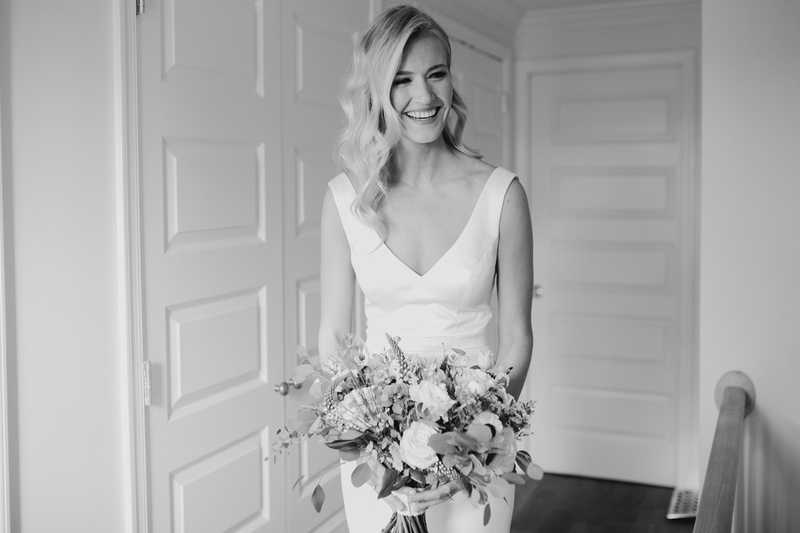 Justine wore a gown from Lovely Bride and had Kristyn from Shimmer and Spice do her makeup. 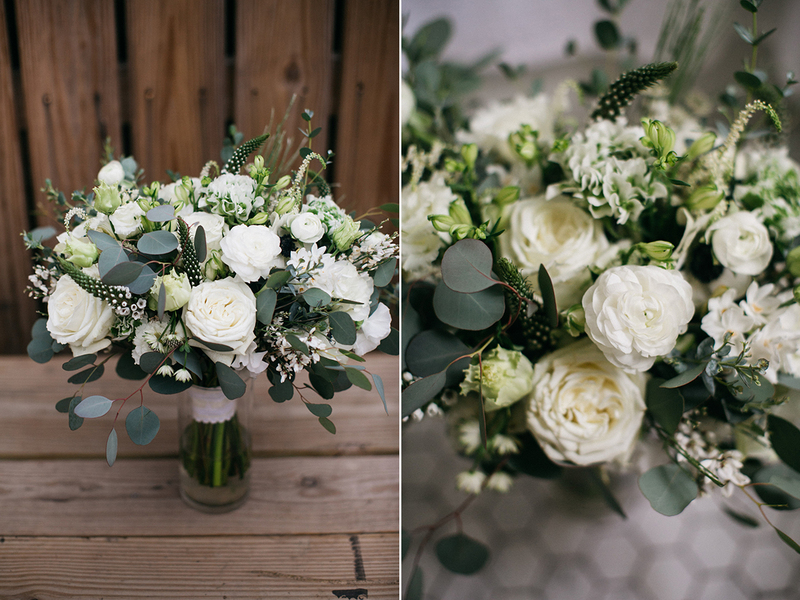 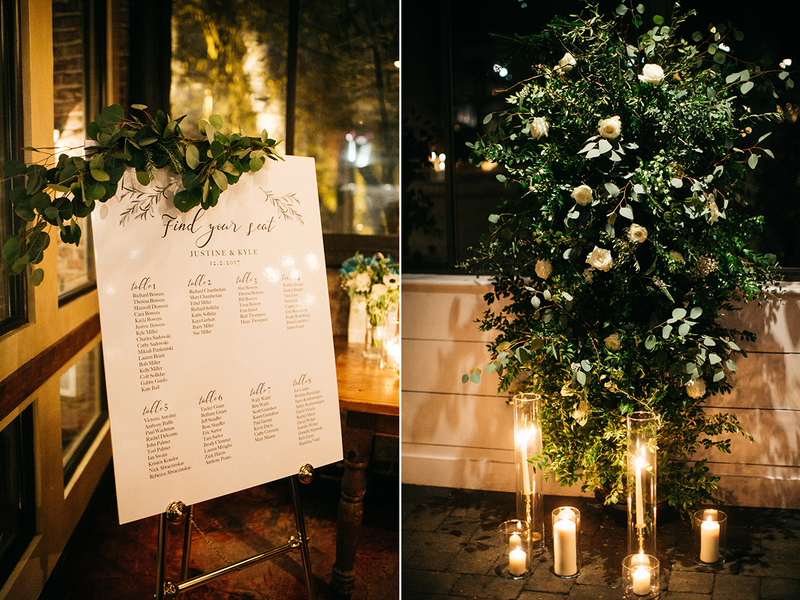 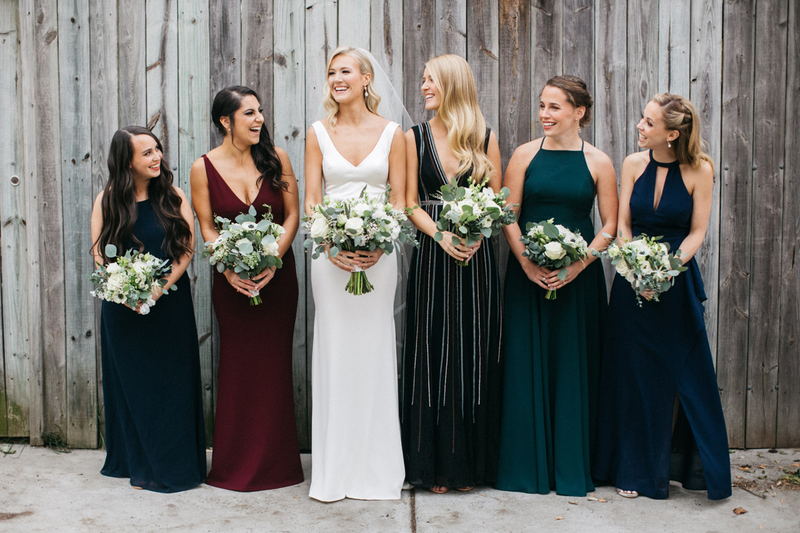 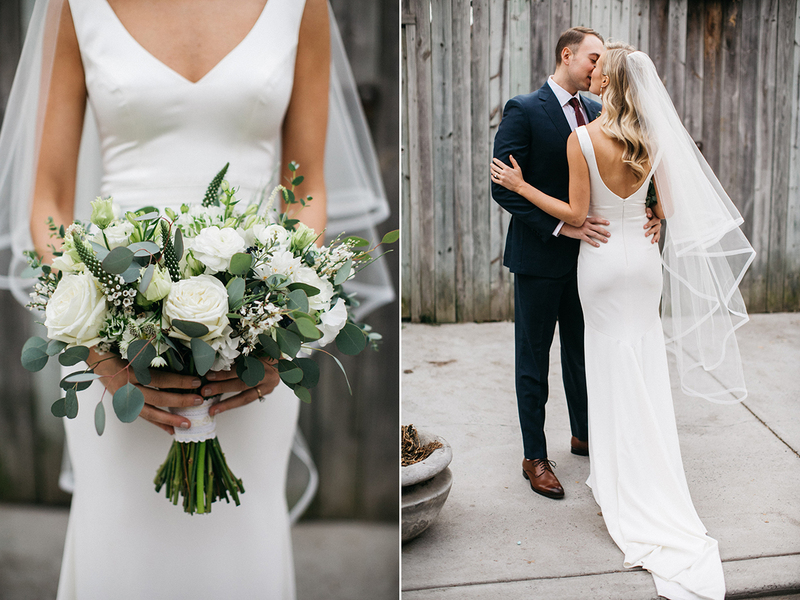 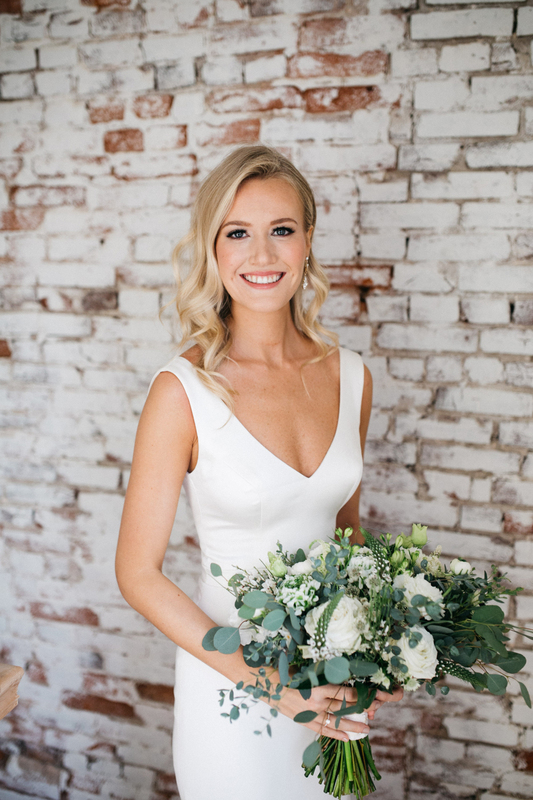 Her florals with lots of white and plenty of greens were done by RAM Floral. 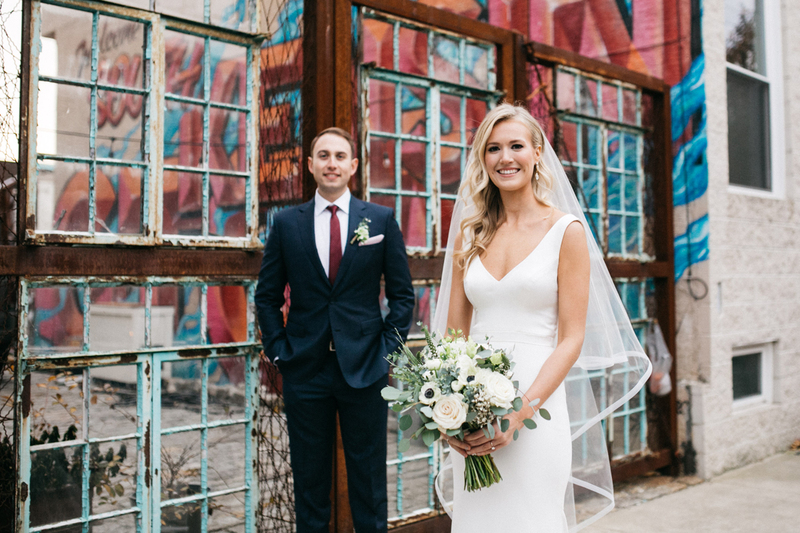 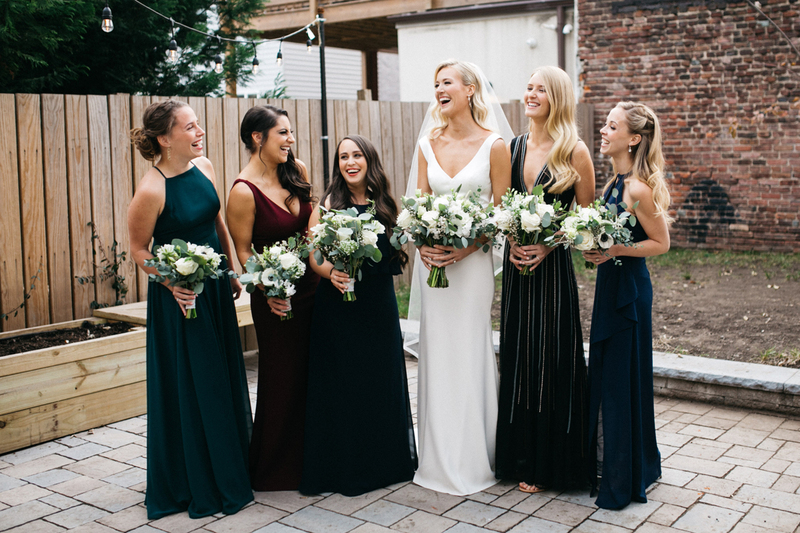 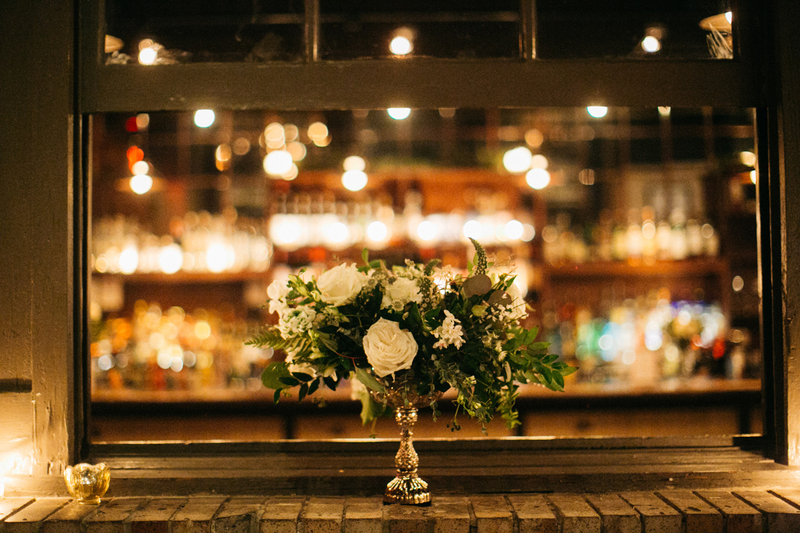 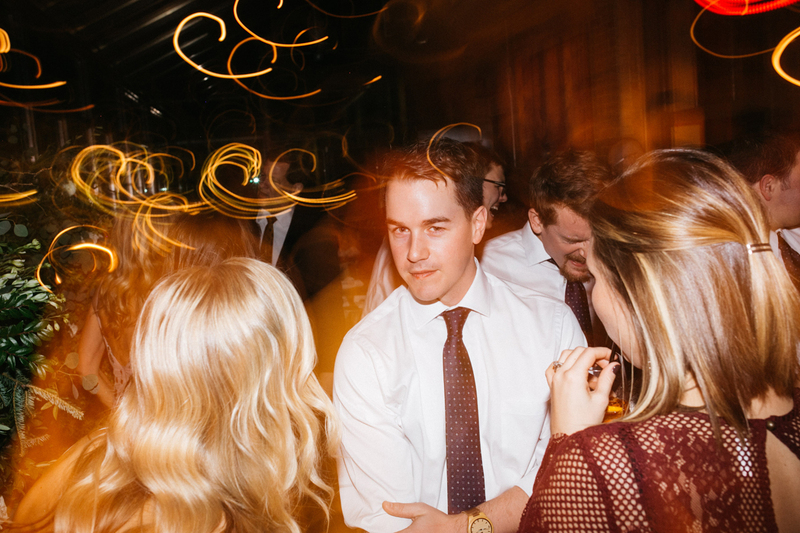 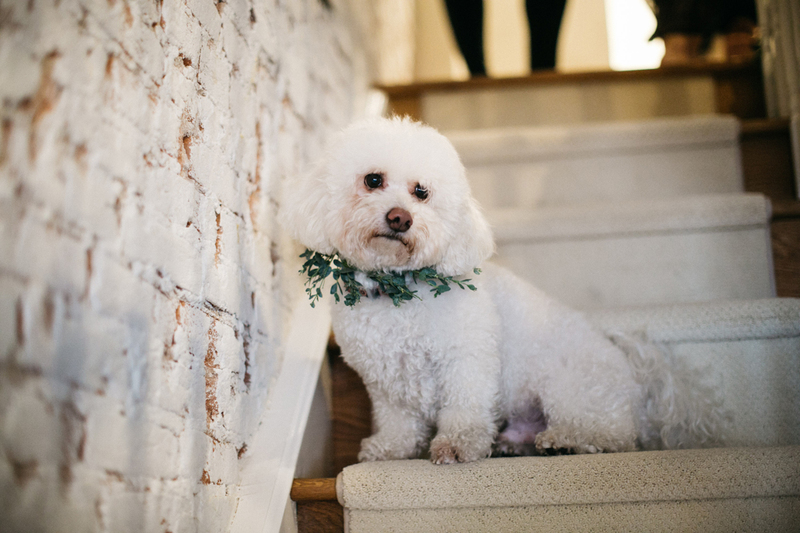 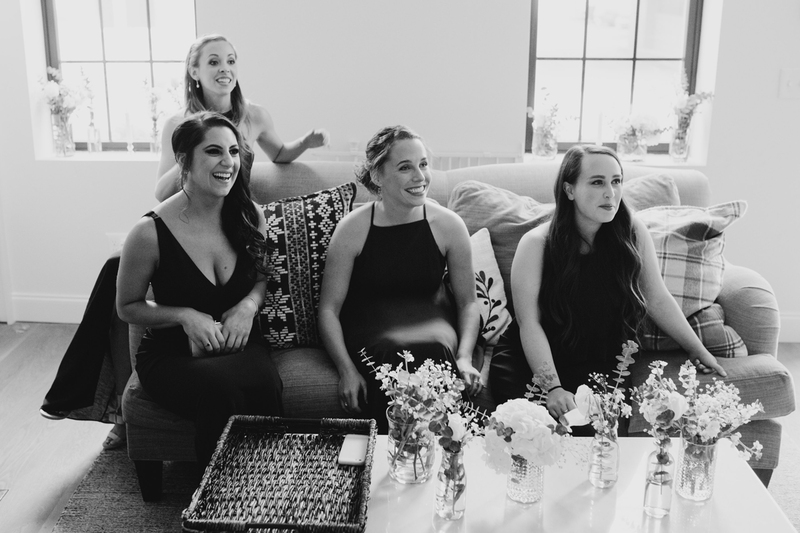 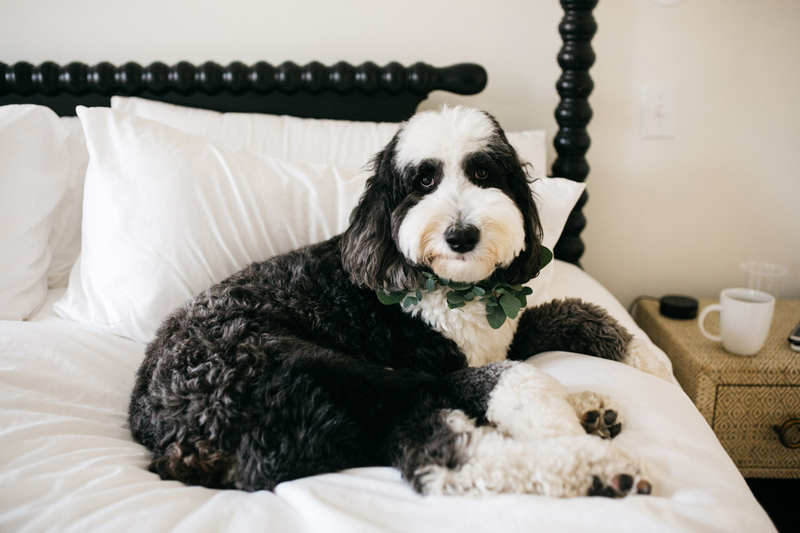 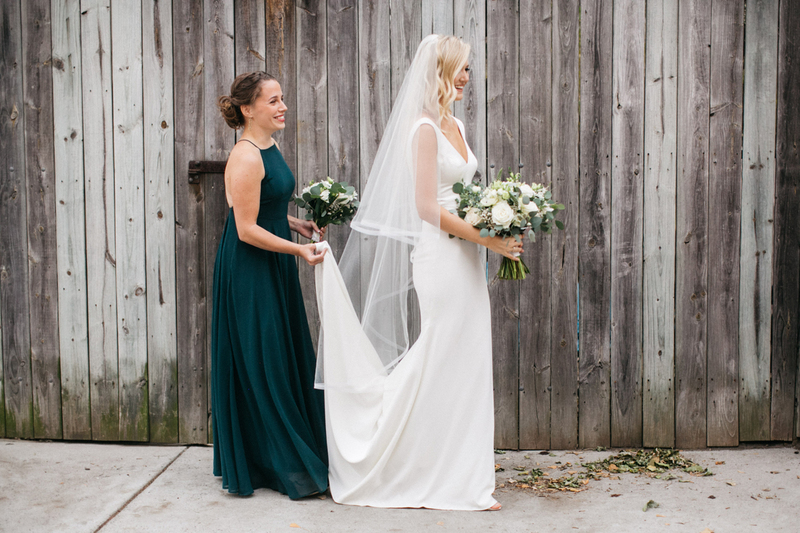 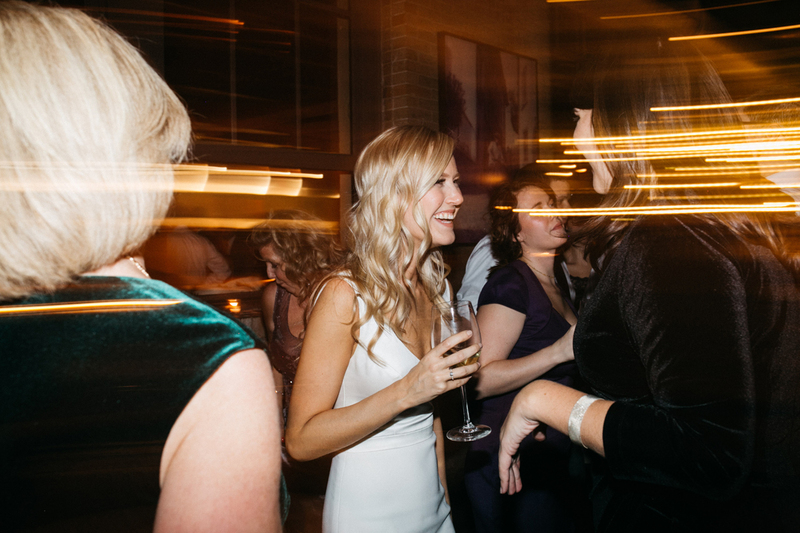 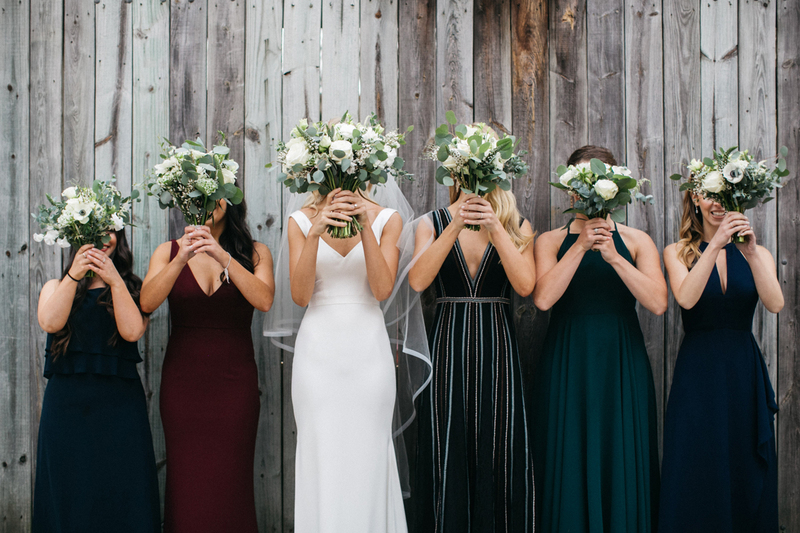 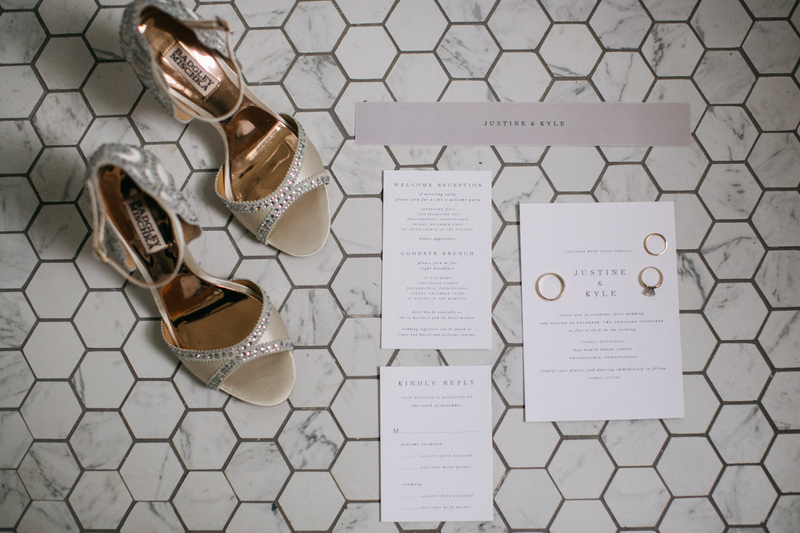 Kate and Sara from Sara Rea Design did a great job with planning, coordinating and decor and were so amazing to be around on Justine and Kyle’s wedding day! 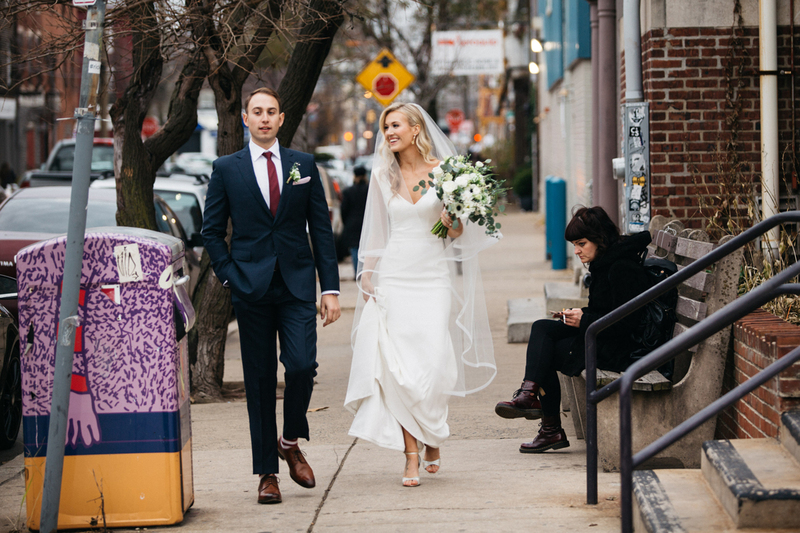 We stayed in the couple’s neighborhood, Fishtown, for portraits and warmed up/did some photos at their favorite coffee shop, La Colombe, that they visit daily. 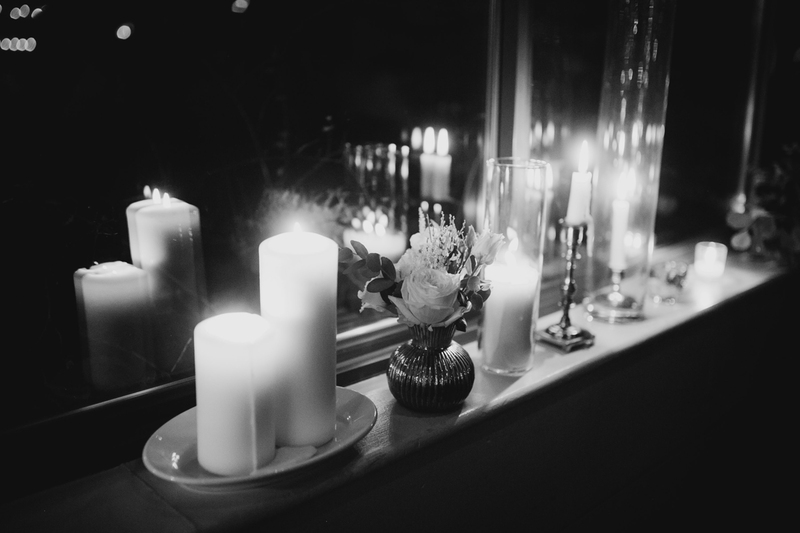 It was very special! 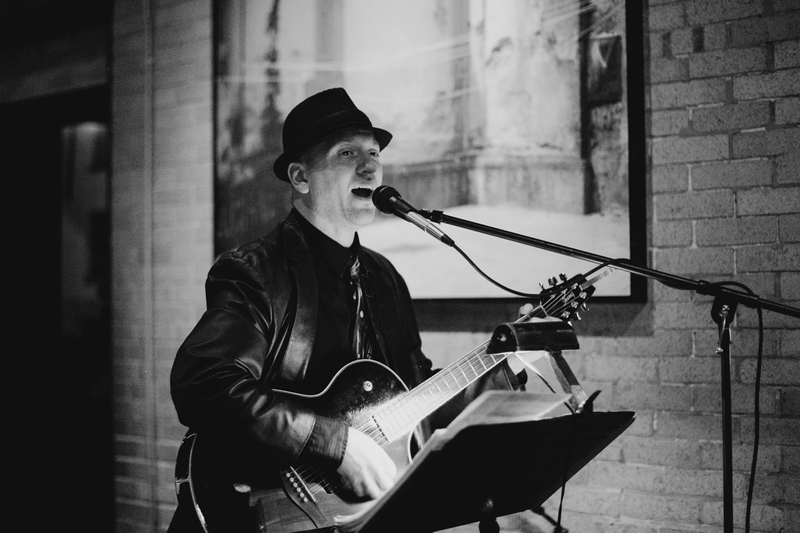 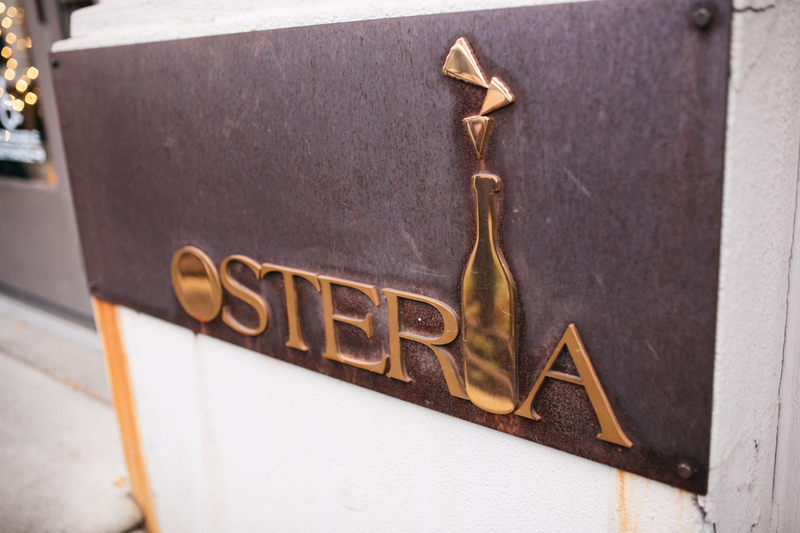 Osteria did a fantastic job with the food and an amazing dessert spread. 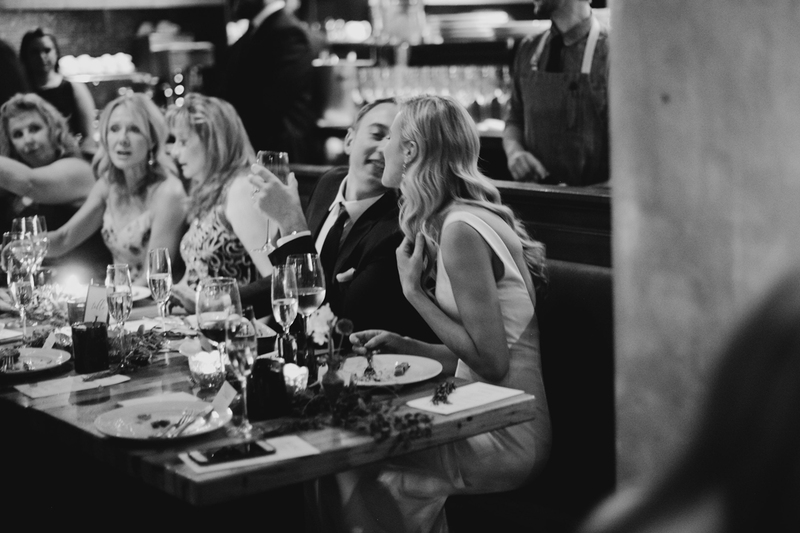 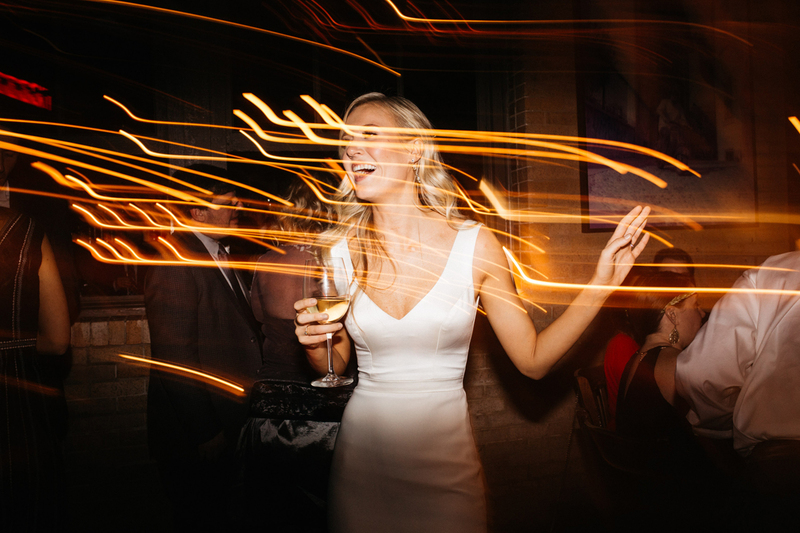 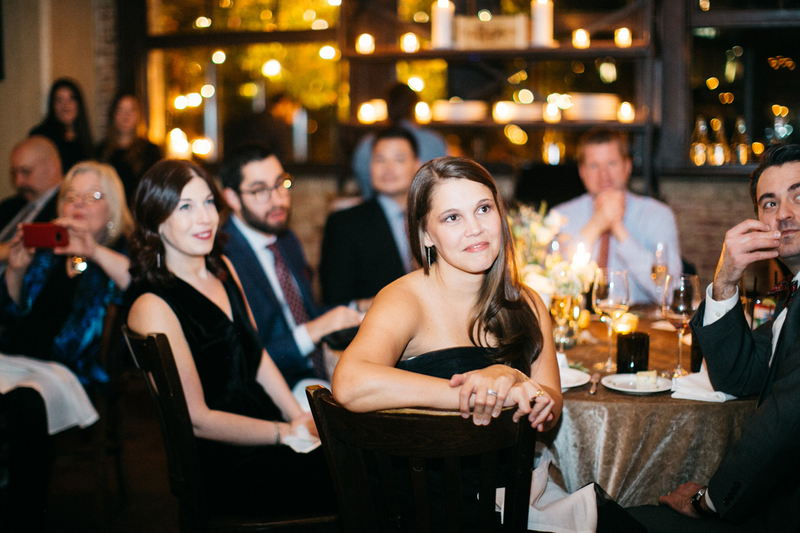 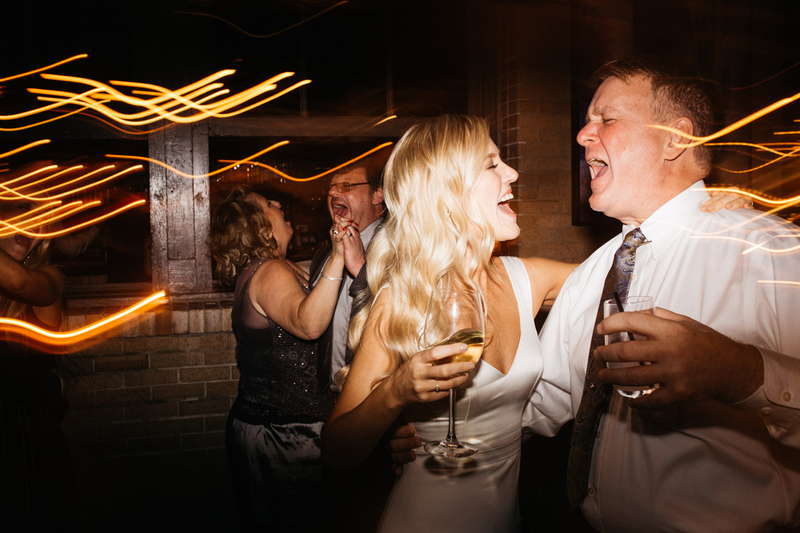 It was definitely one of the most memorable wedding dinners in Philly. 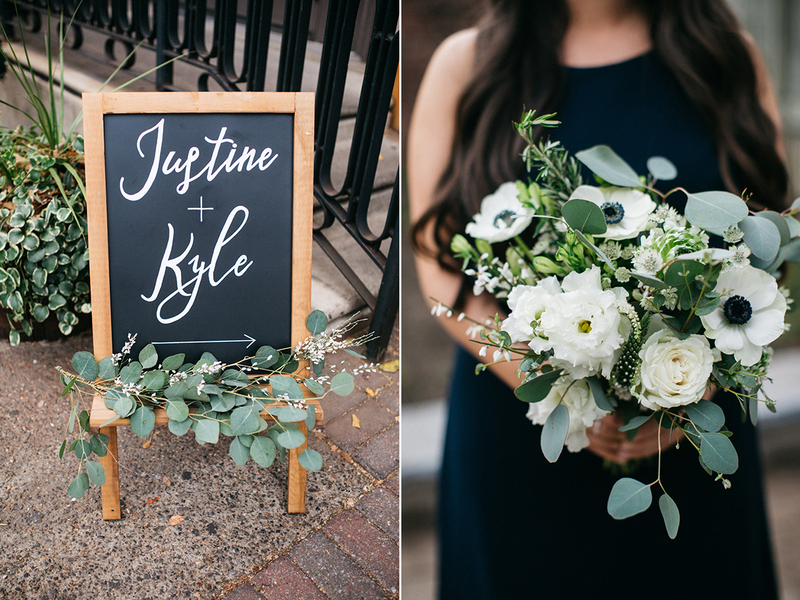 Congratulations Justine and Kyle!